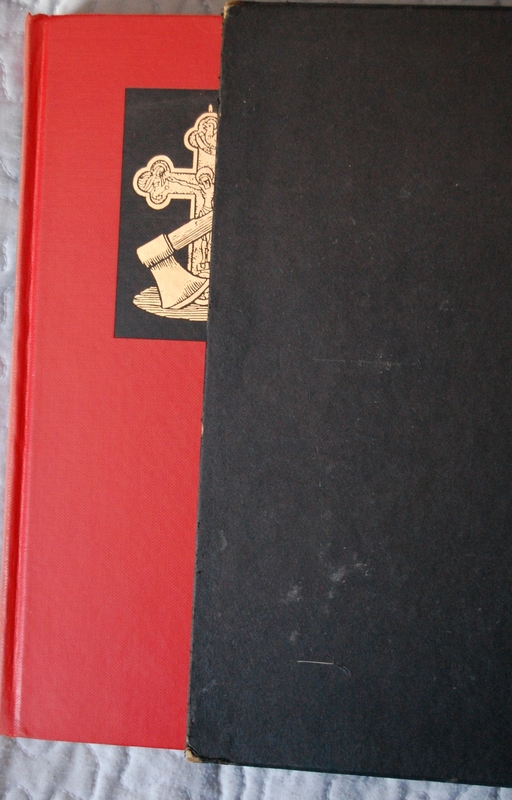 Front Binding – The sole LEC I own from Sid Shiff’s period of the LEC (even now, four years after I first wrote this post!). 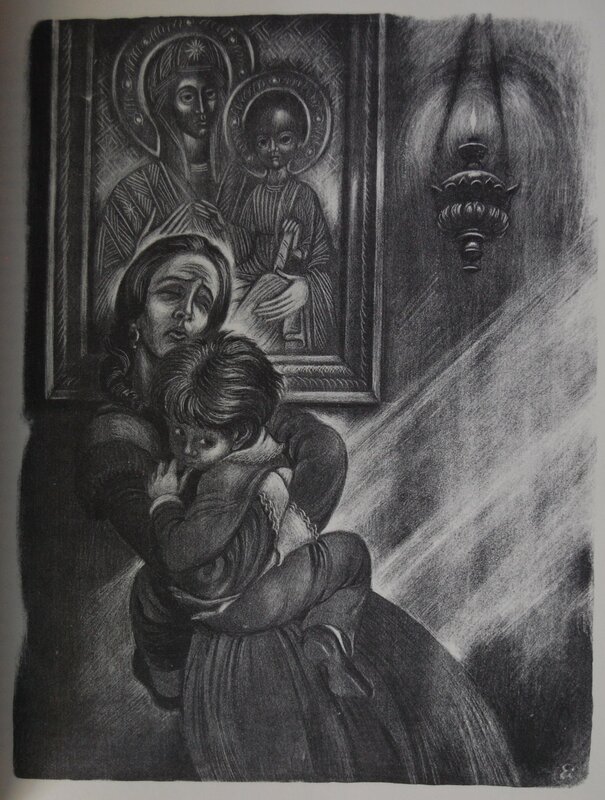 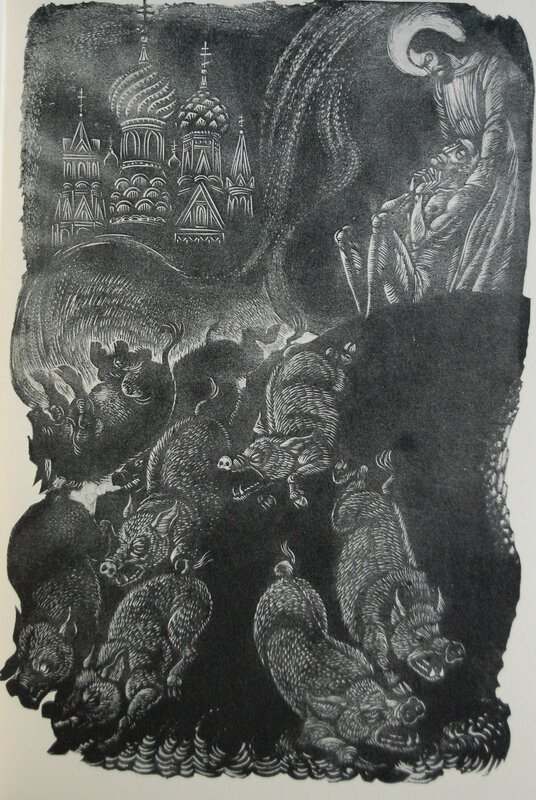 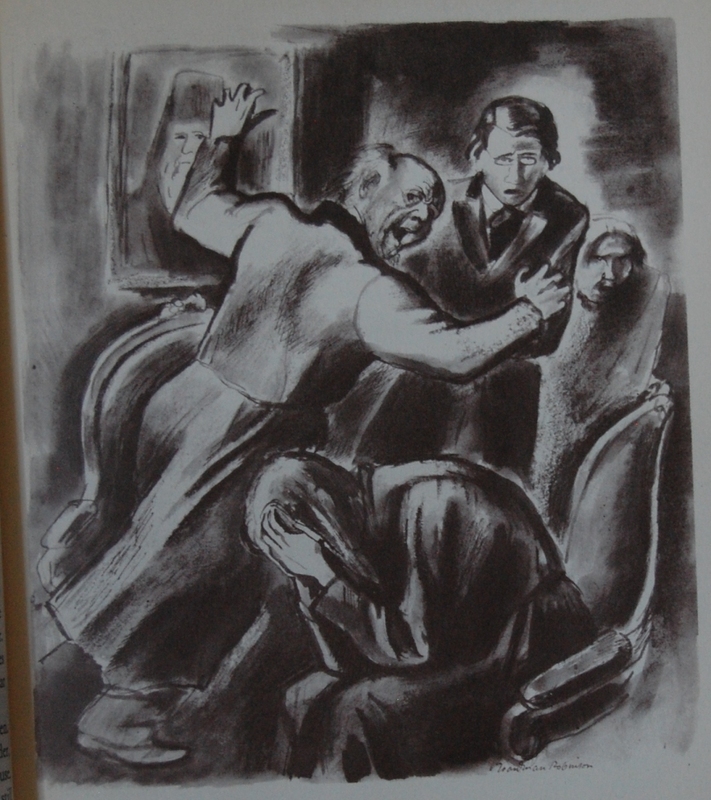 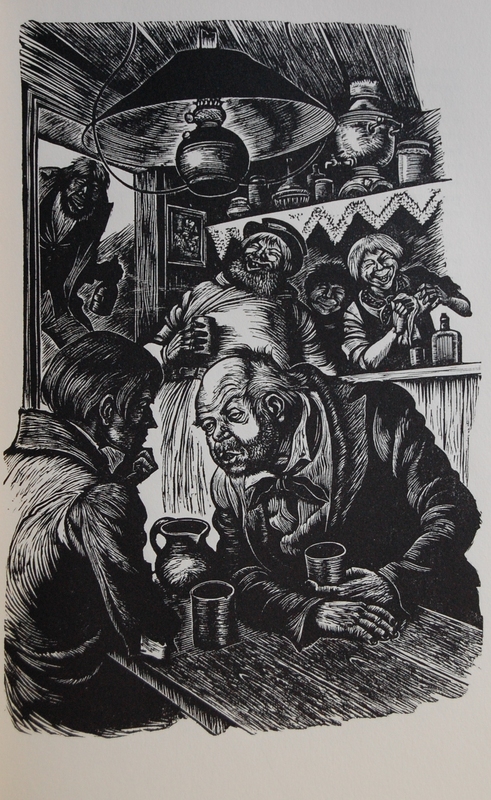 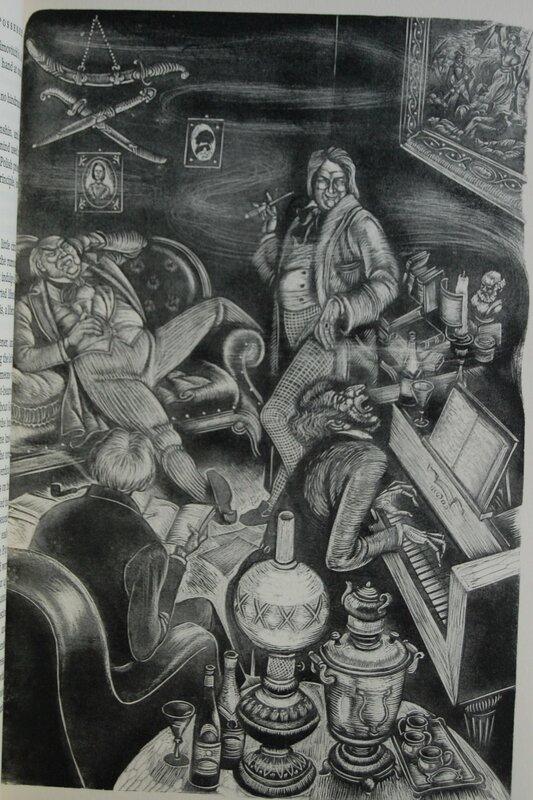 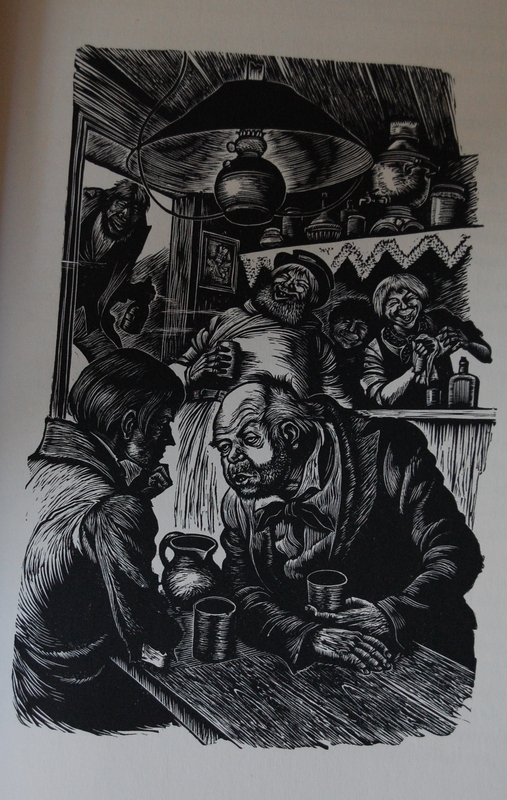 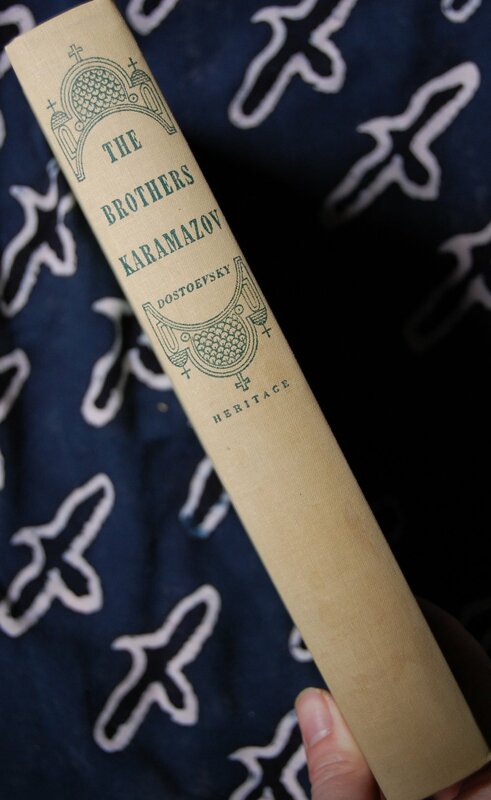 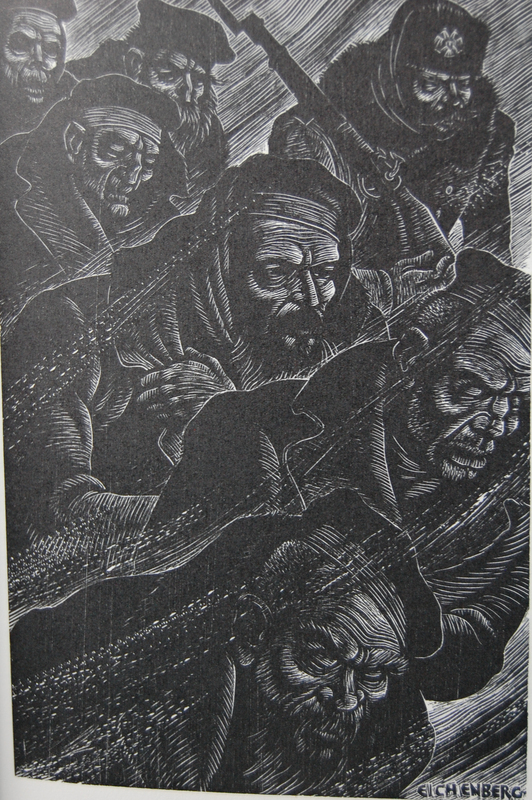 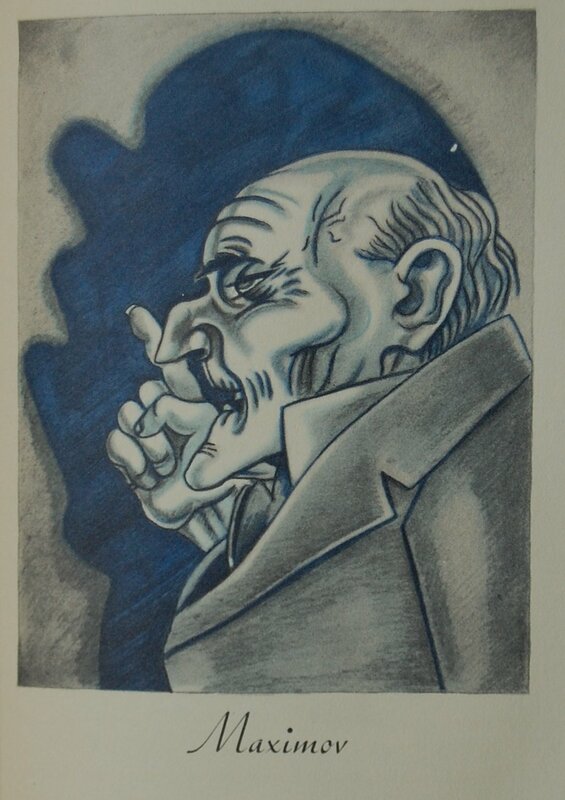 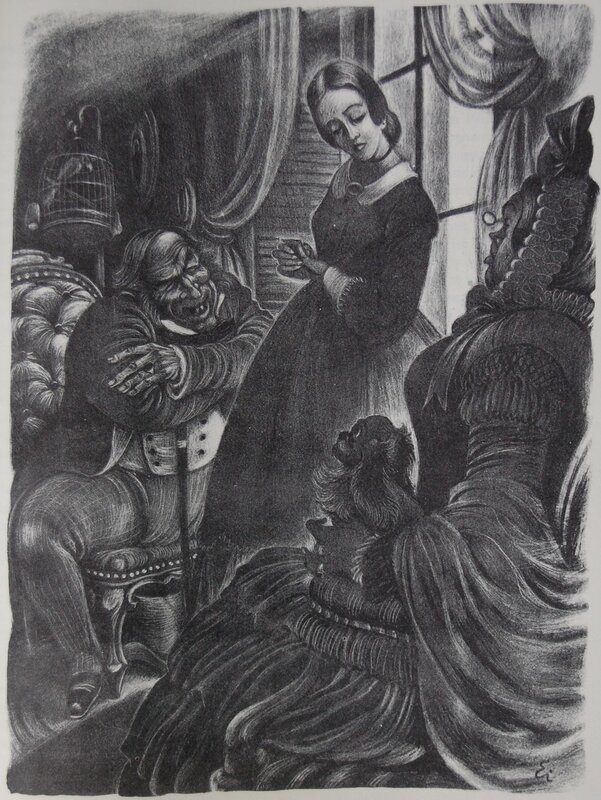 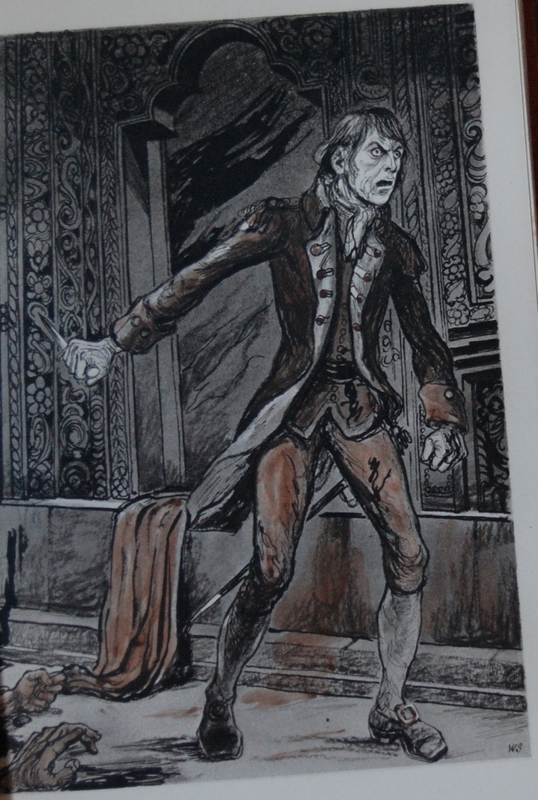 More information on Dostoevsky and illustrator Fritz Eichenberg can be seen at The Brothers Karamazov. 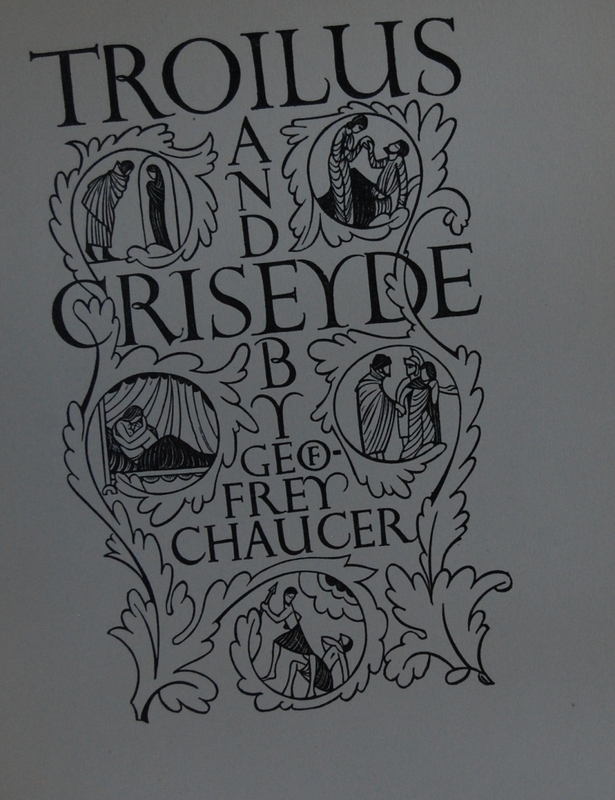 These two had quite a run. 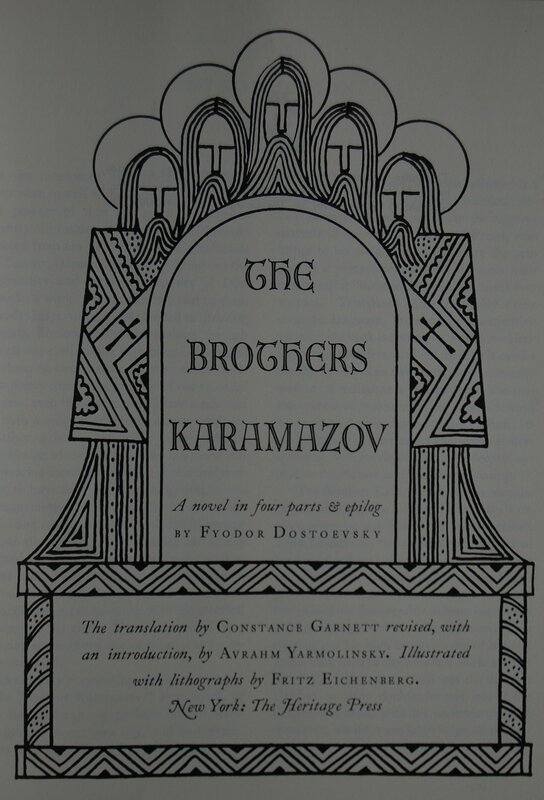 So far, beyond this work, I’ve covered the aforementioned Karamazov and Crime and Punishment, as well as The Possessed. 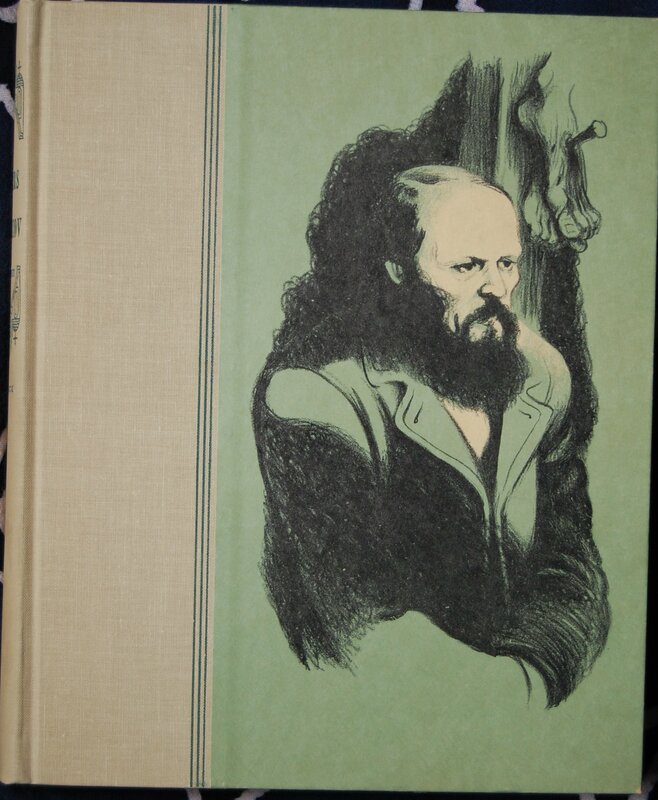 This was Eichenberg’s last Dostoevsky novel and his second-to-last commission from the LEC, and if I may be so bold, Eichenberg had not lost a single step along his long career. 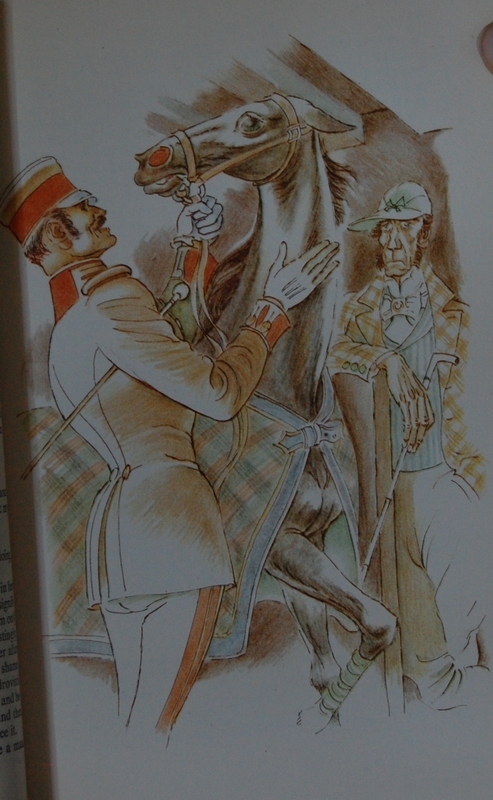 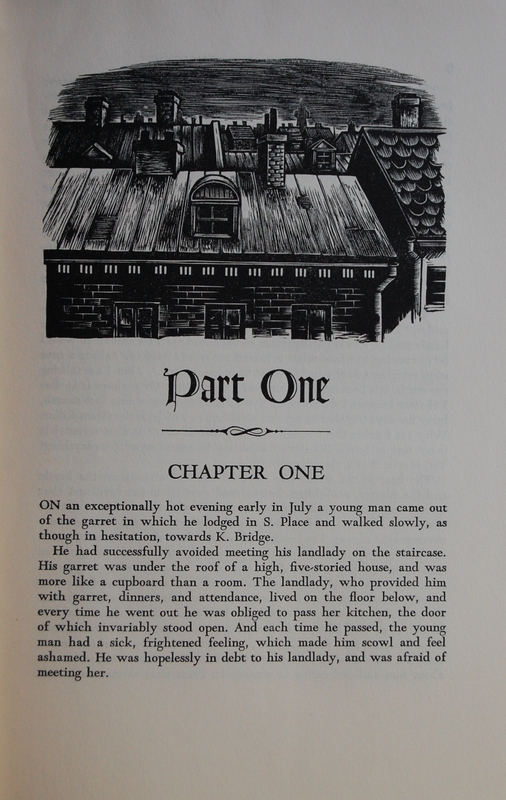 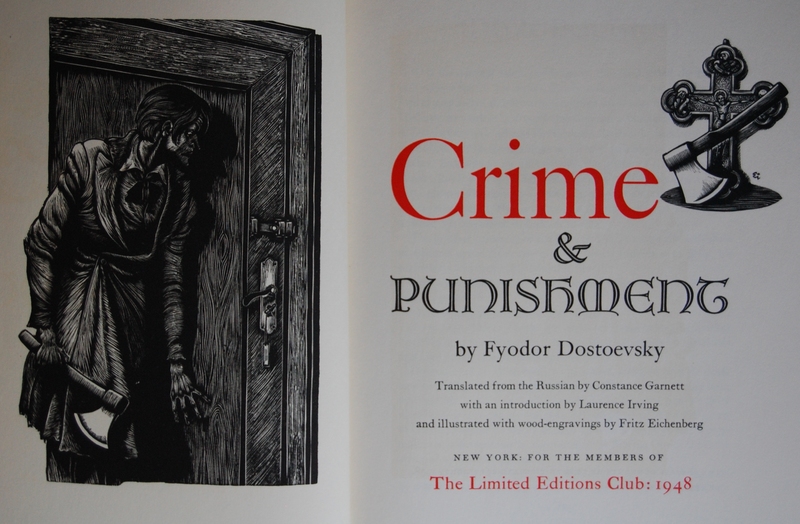 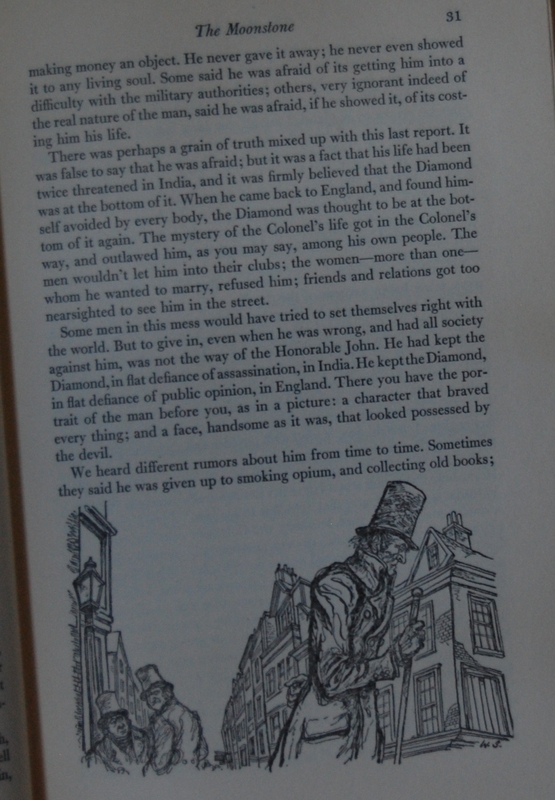 Compare the artwork here to the art from Crime and Punishment, one of his earliest commissions, and you can see that his artistry had not dulled one bit. 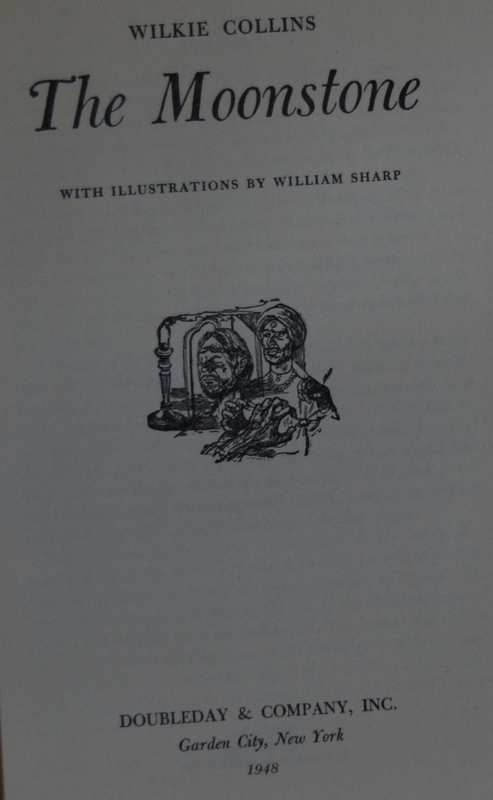 In fact, it has, in my opinion, gotten better over the decades, and this is a wondrously illustrated title. 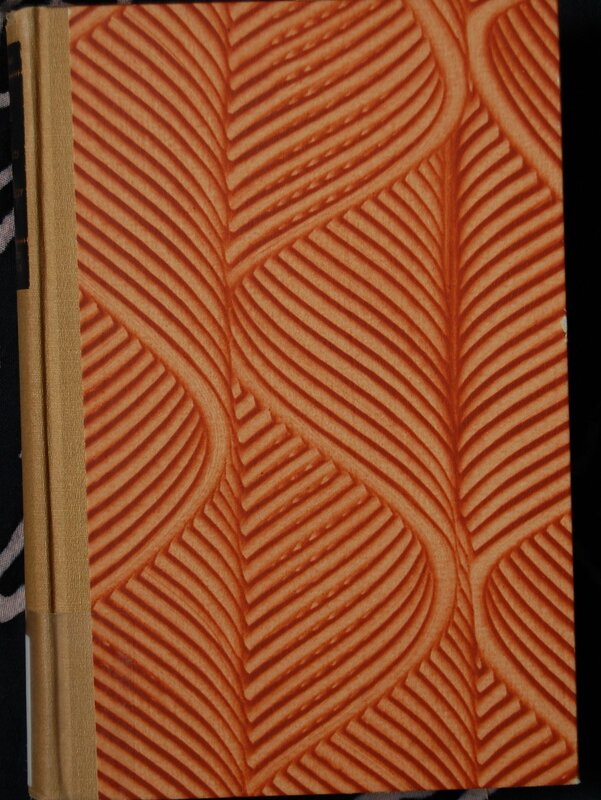 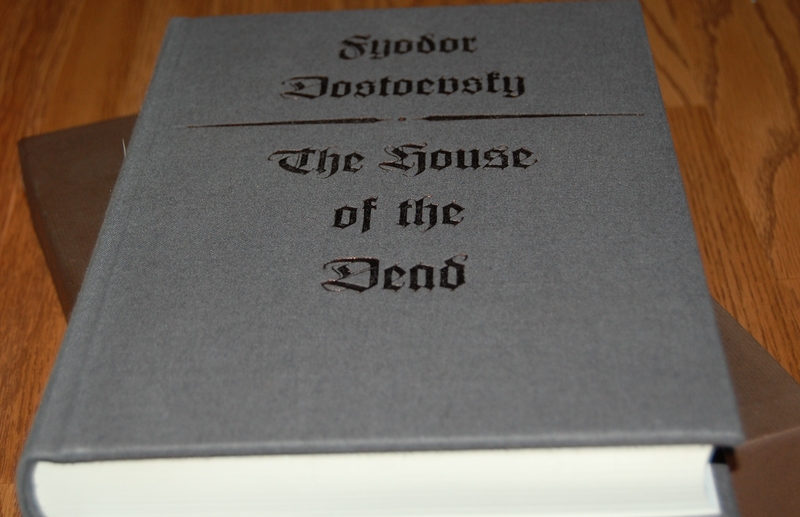 Design Notes – A lovely soft gray cloth covers the boards, and the title and author have been stamped with copper. 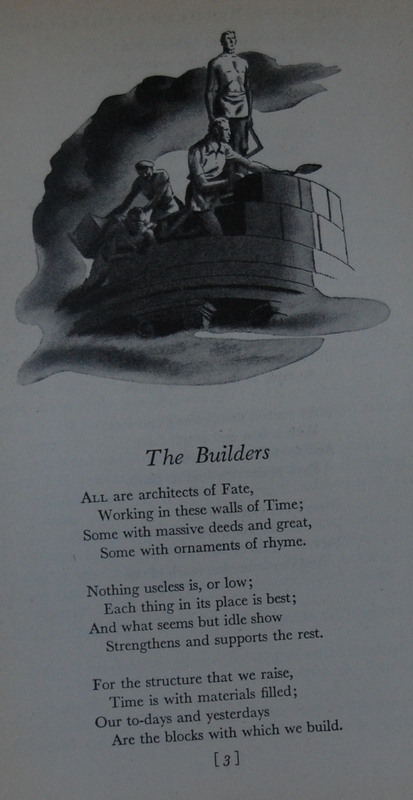 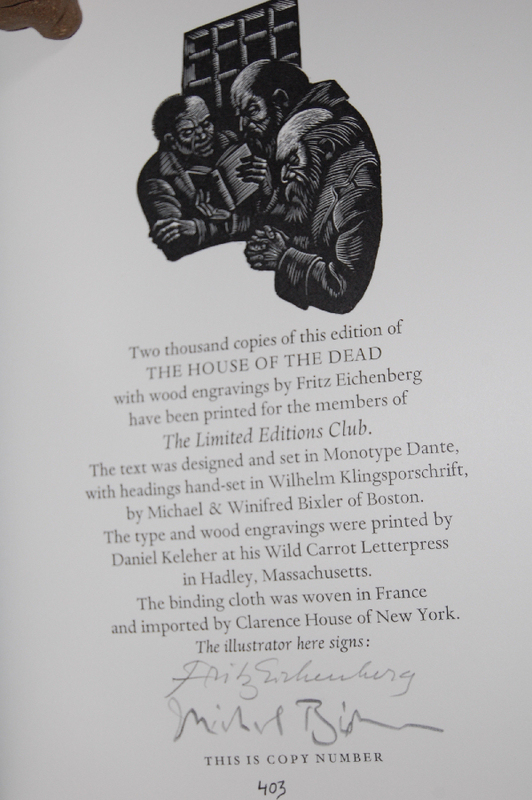 Designed by Antonie Eichenberg (any relation to Fritz Eichenberg, I wonder?). 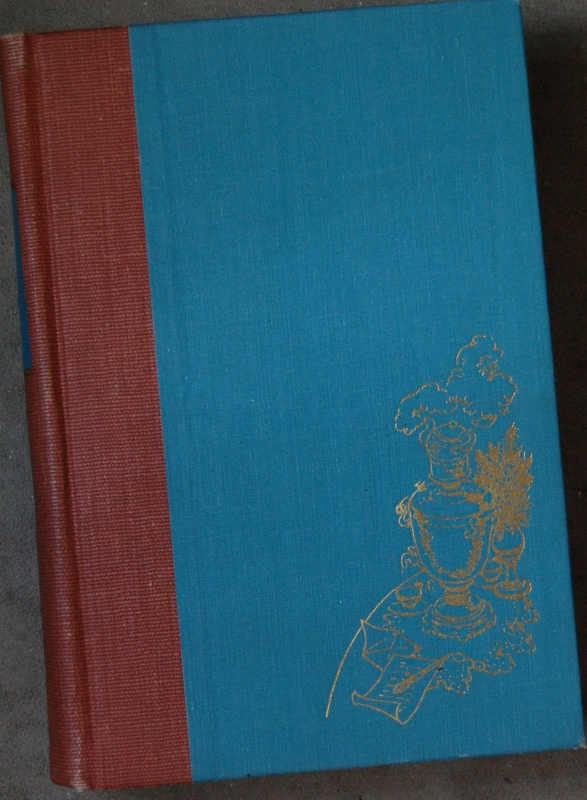 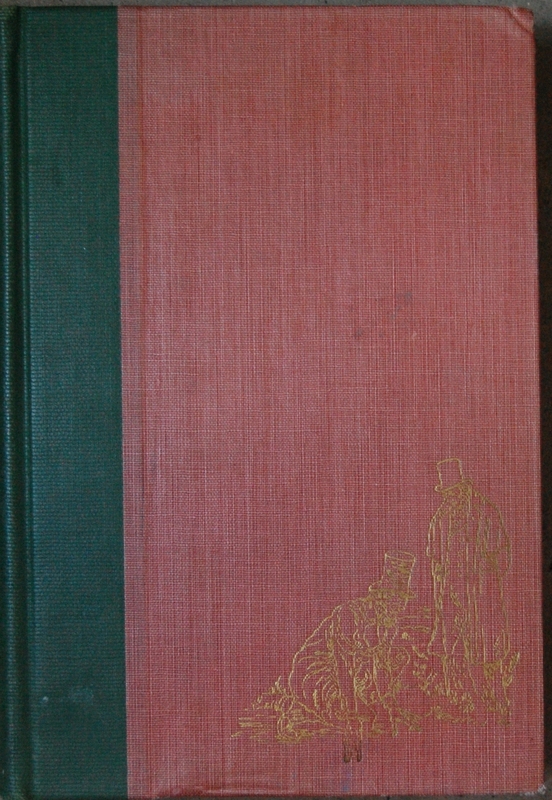 Made from plum-gray 100% Toile Athena cotton imported from France by Clarence House Imports, Ltd., with the title and author stamped in deep copper on the front and the title on the spine. 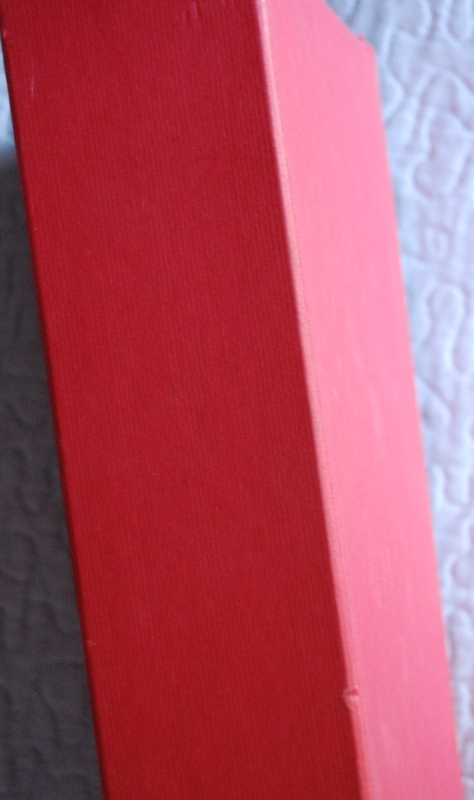 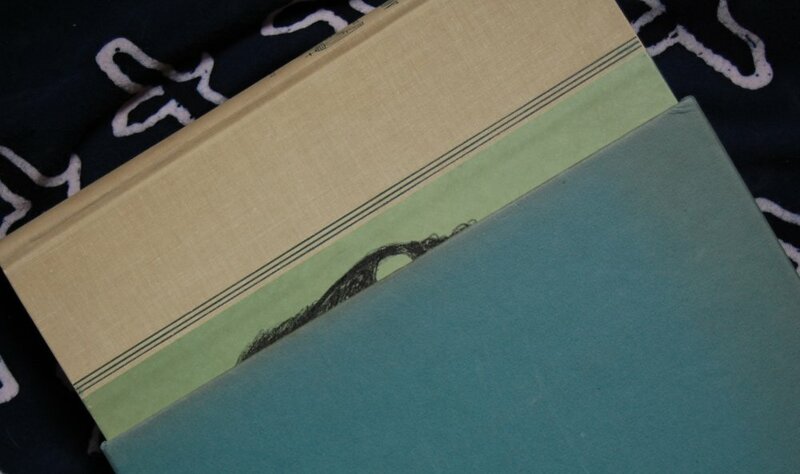 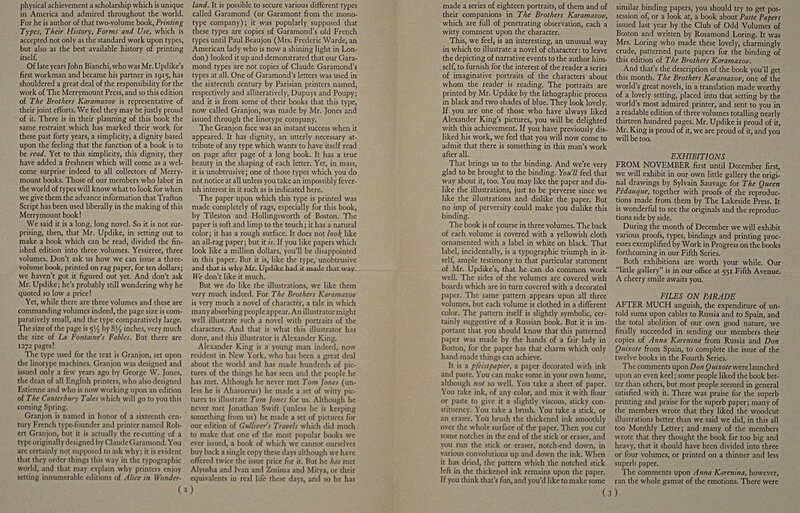 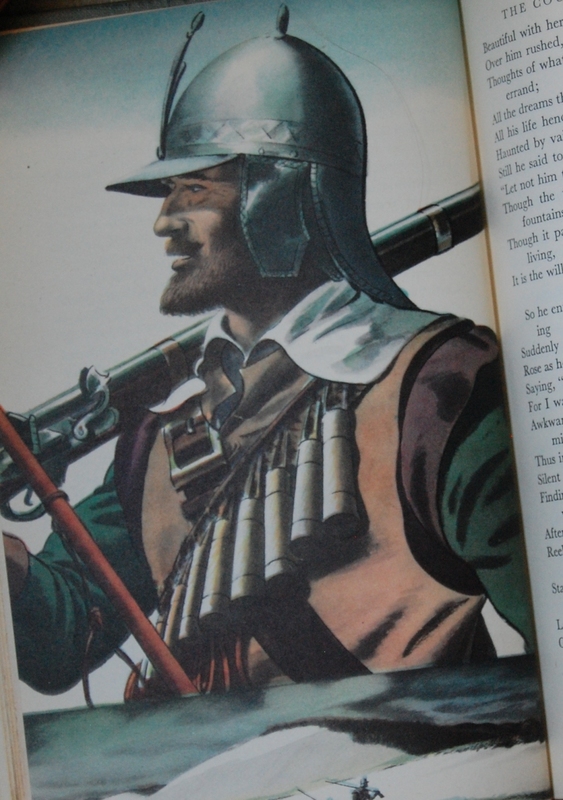 My copy unfortunately has a faded spine, rendering the text as a more silvery color. 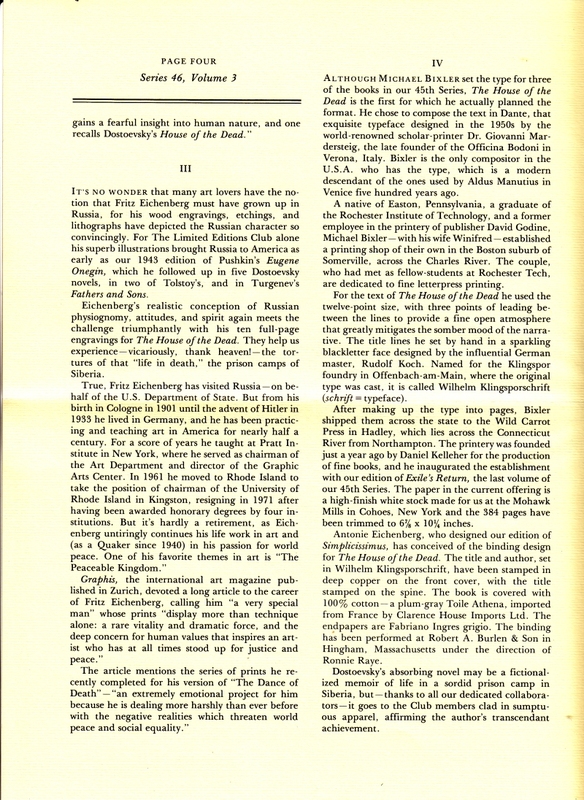 The text is Wilhelm Klingsporschrift. 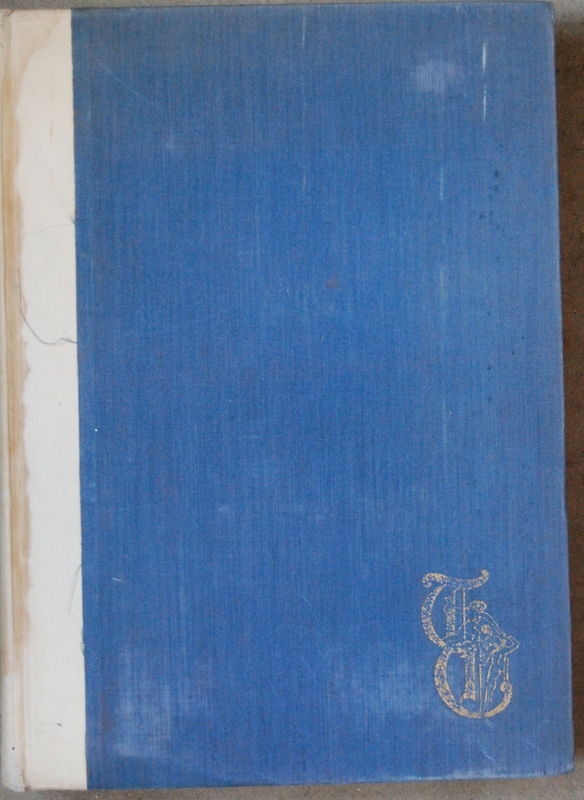 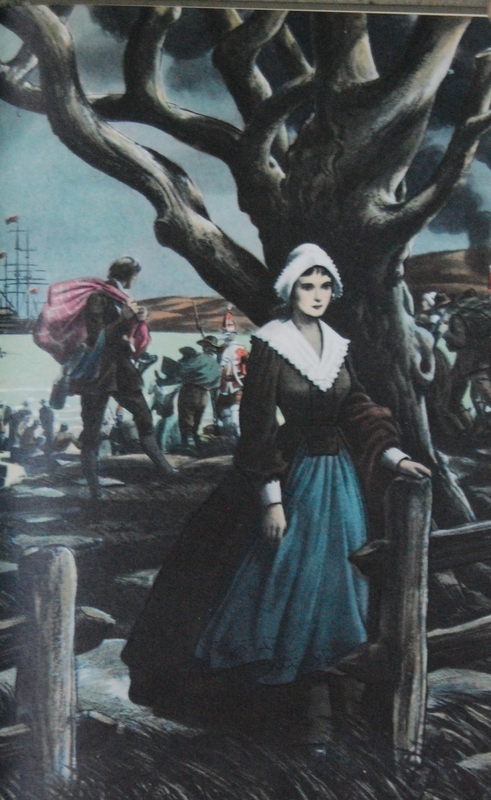 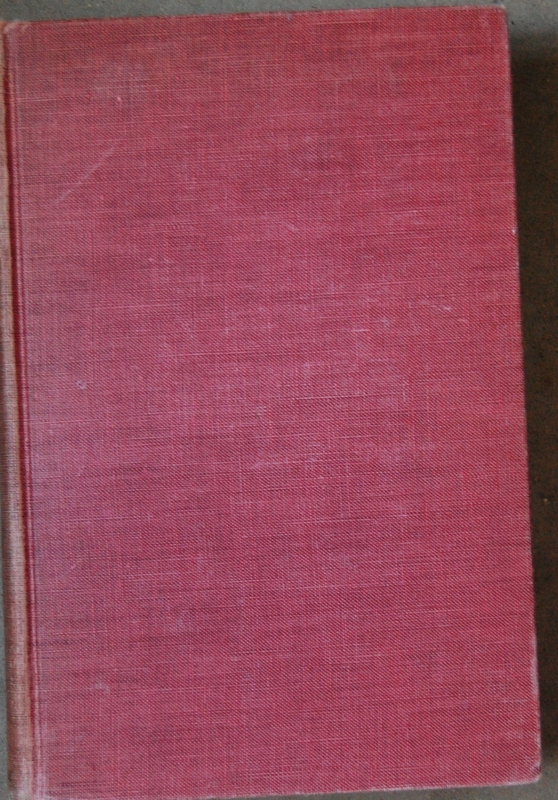 The process of binding was done at Robert A. Burlen & Son in Hingham, Massachusetts. 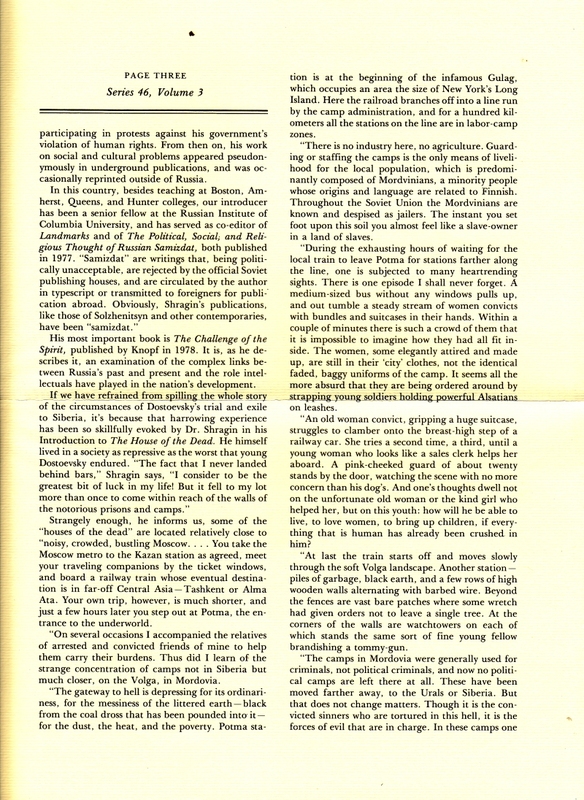 This info from the LEC Newsletter, which you can see at the end of this post. 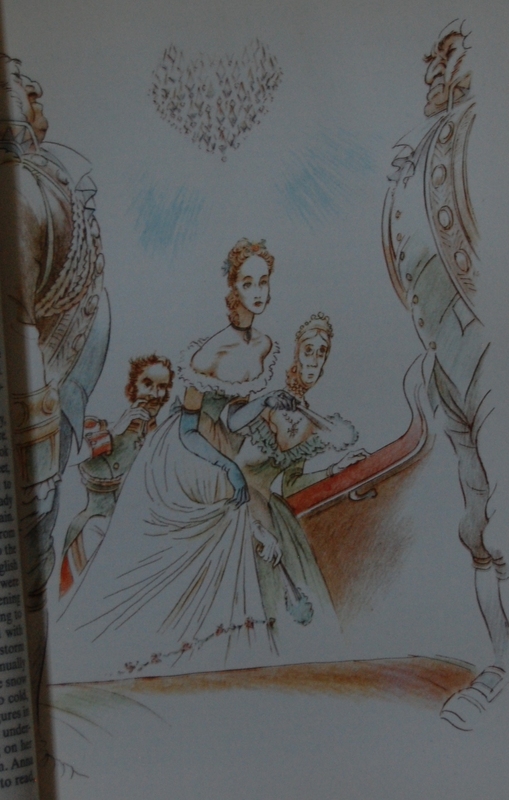 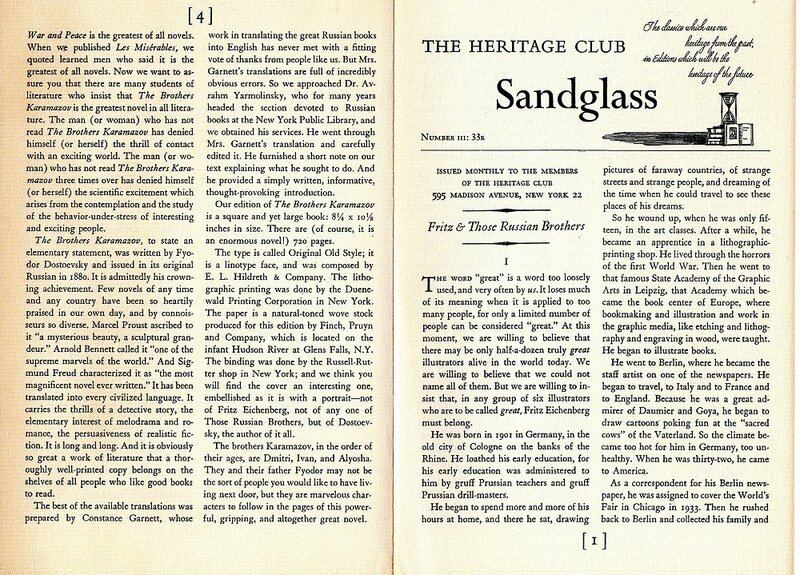 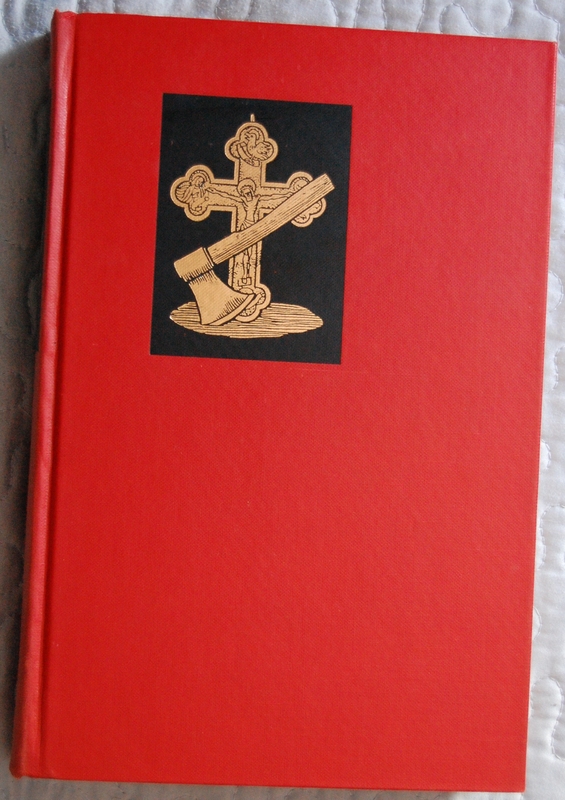 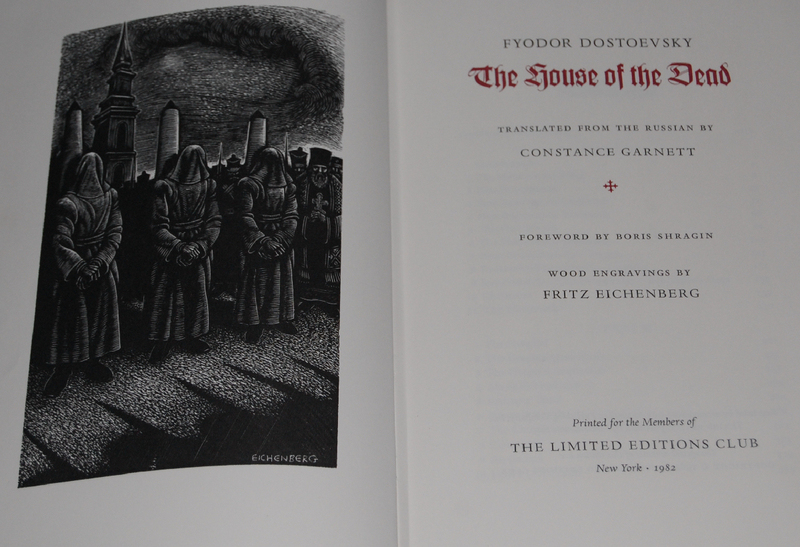 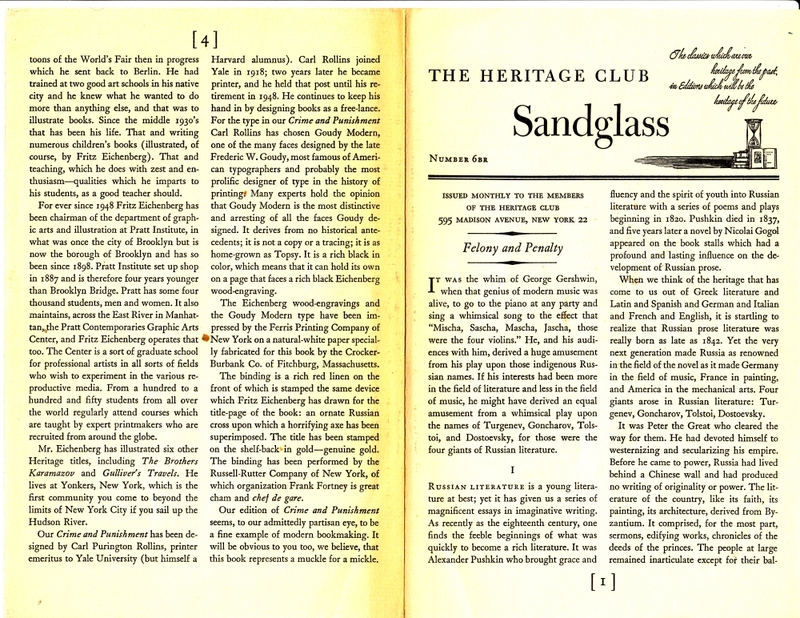 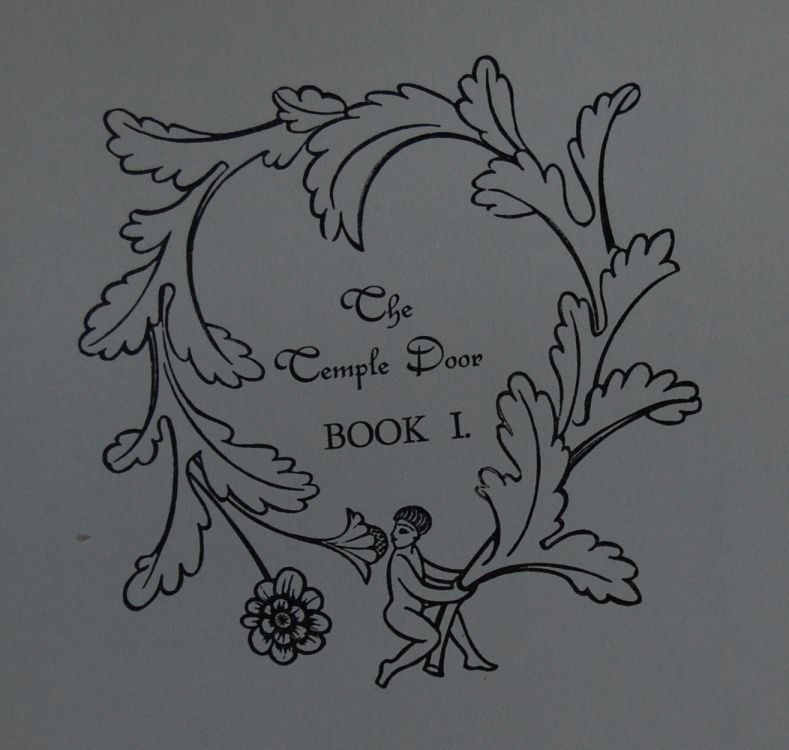 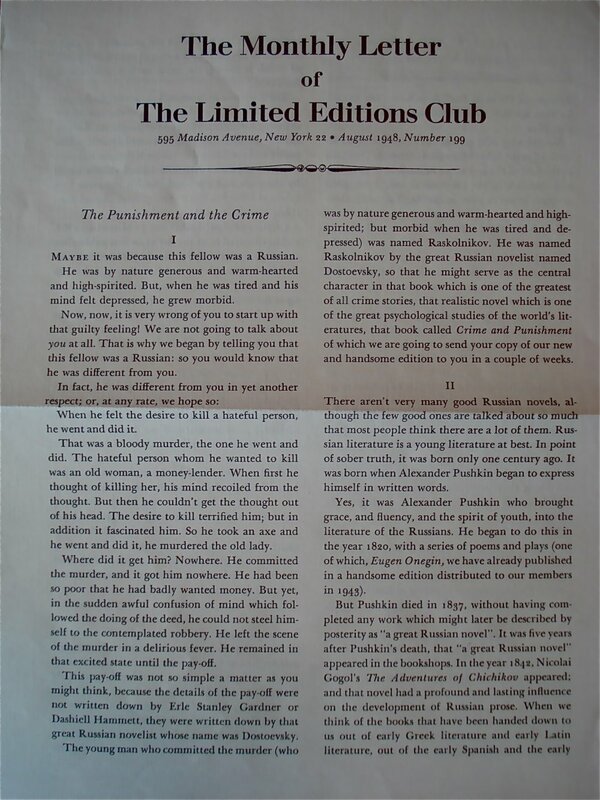 Title Page: As usual, the Limited Editions Club went with Constance Garnett’s translation. 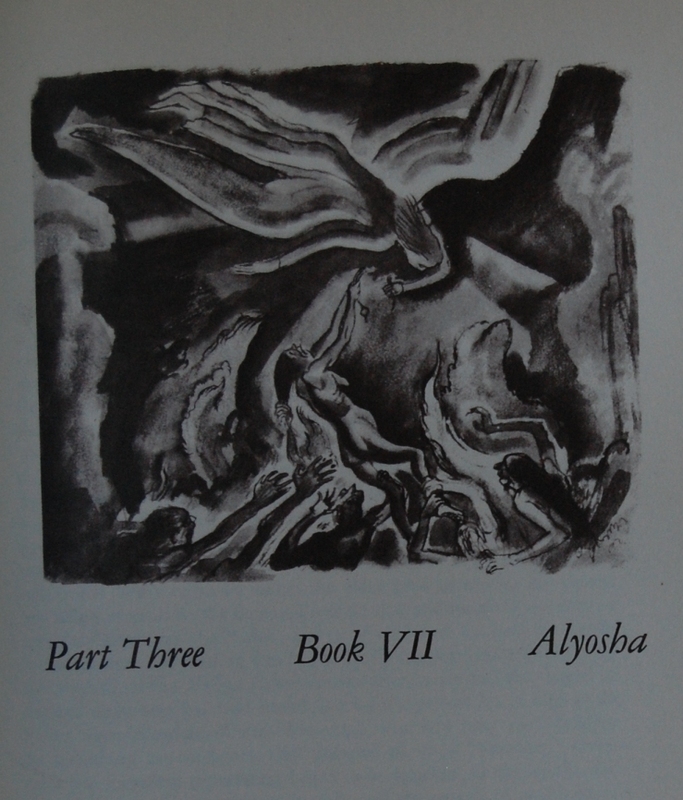 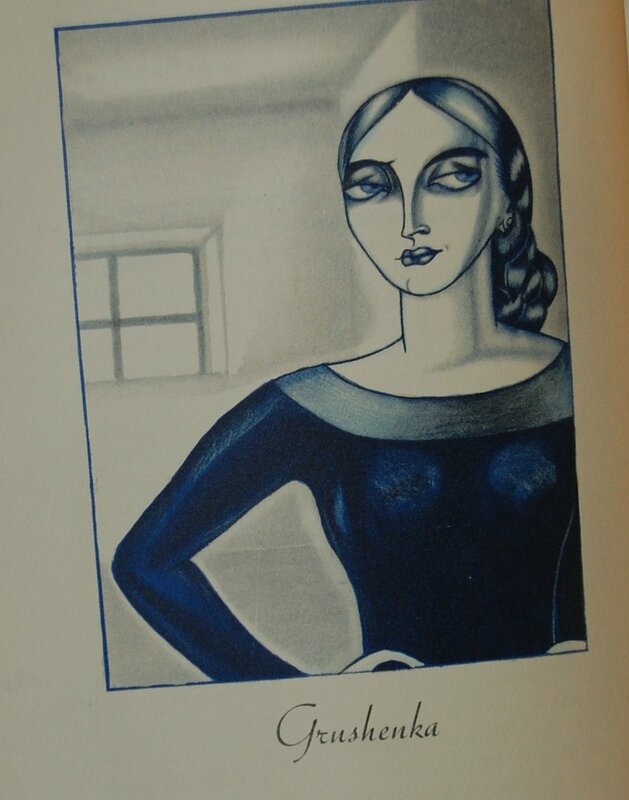 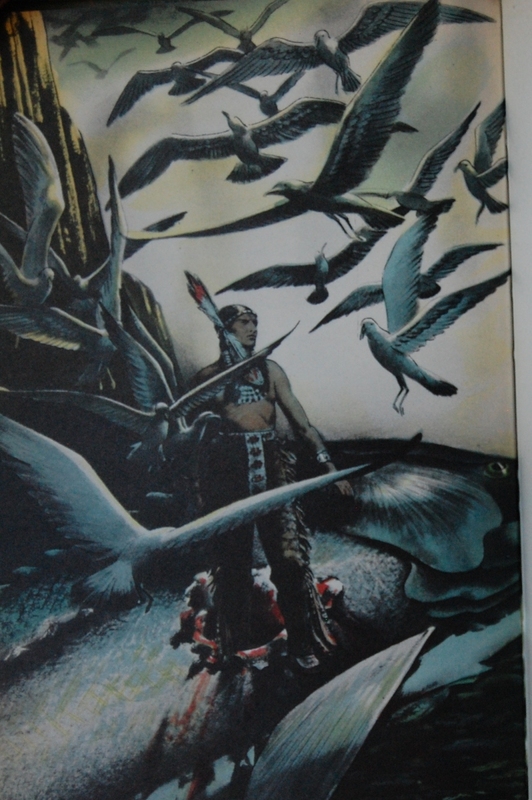 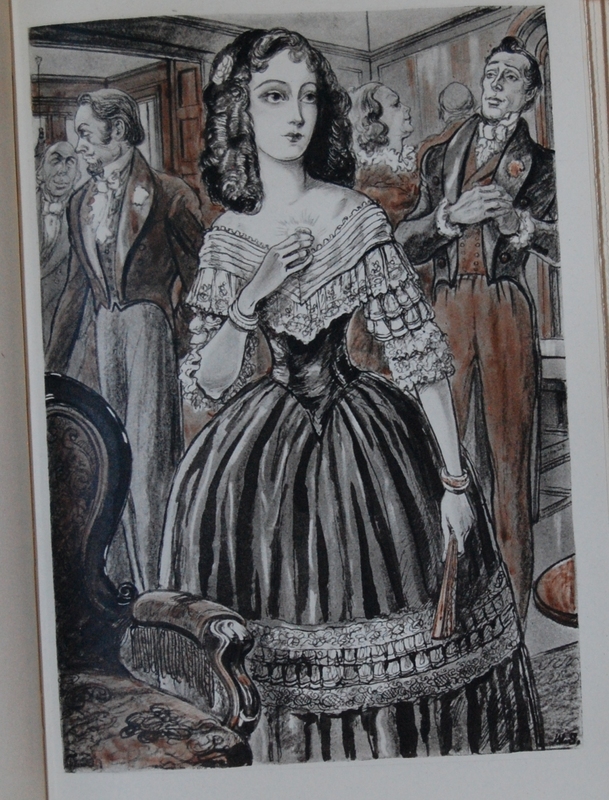 She seemed to be the go-to for the majority of their printings of Russian works. 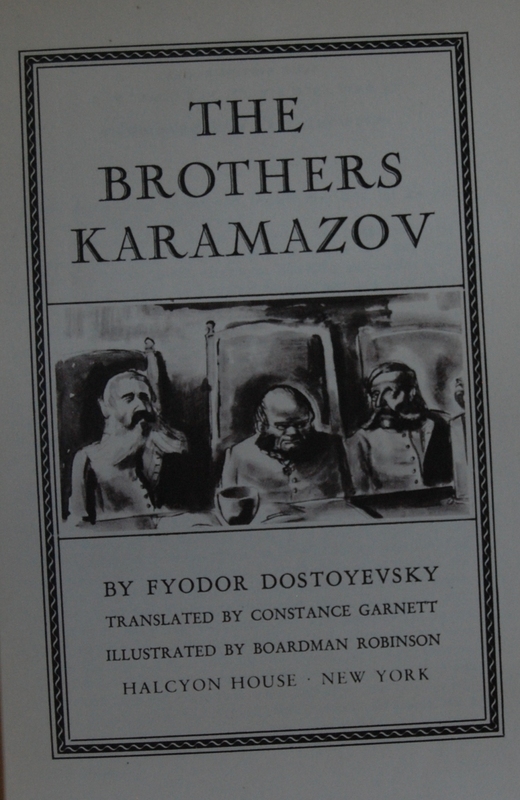 Along with this, there’s Crime and Punishment, The Possessed, and The Brothers Karamazov by Dostoevsky. 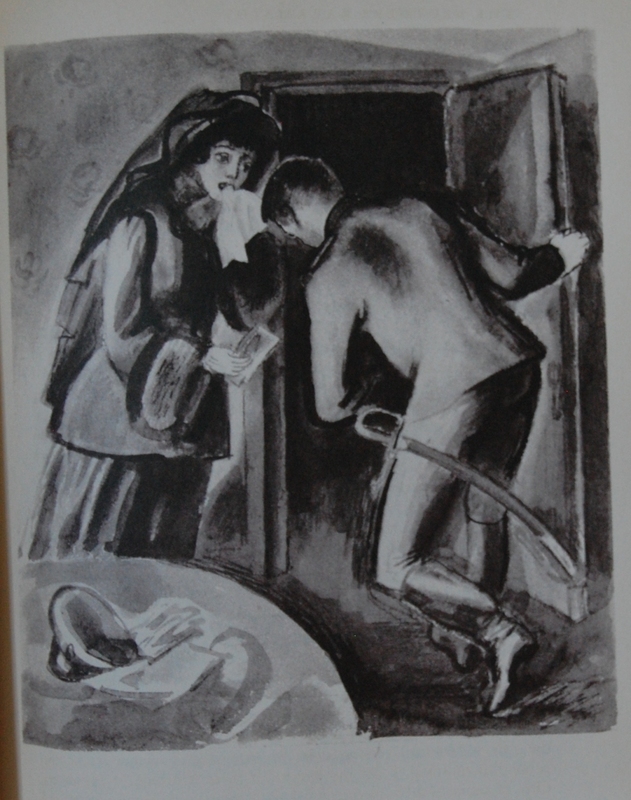 Chekhov’s Two Plays also has Garnett’s touch. 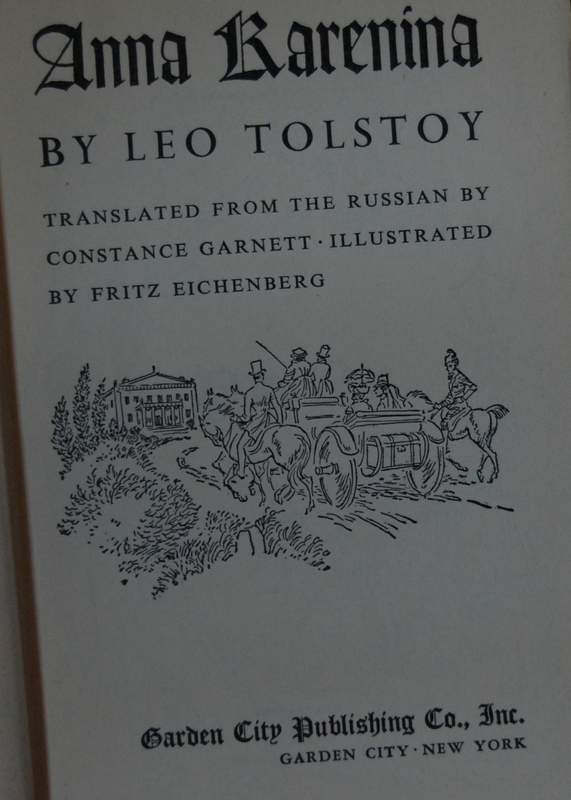 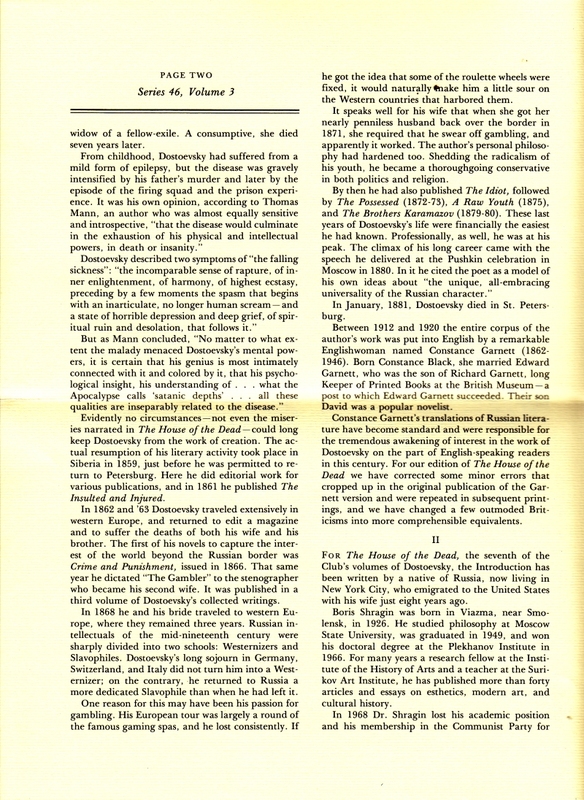 Tolstoy’s Resurrection was translated by Leo Wiener and revised and edited by F.D. 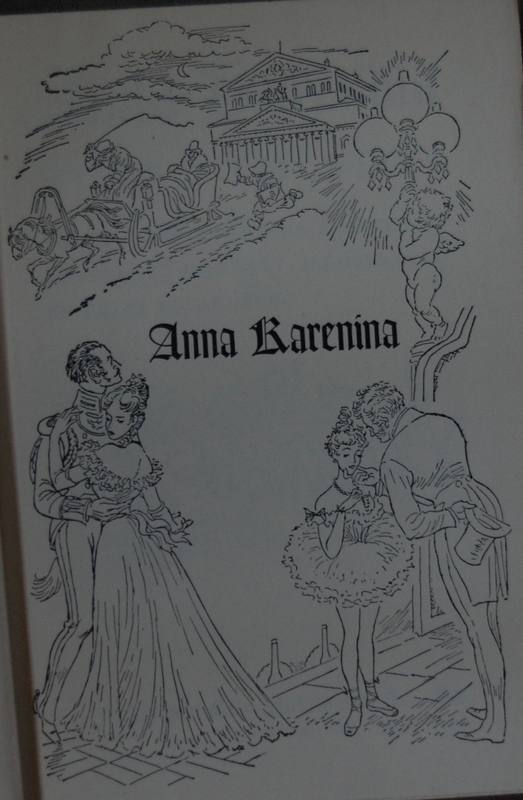 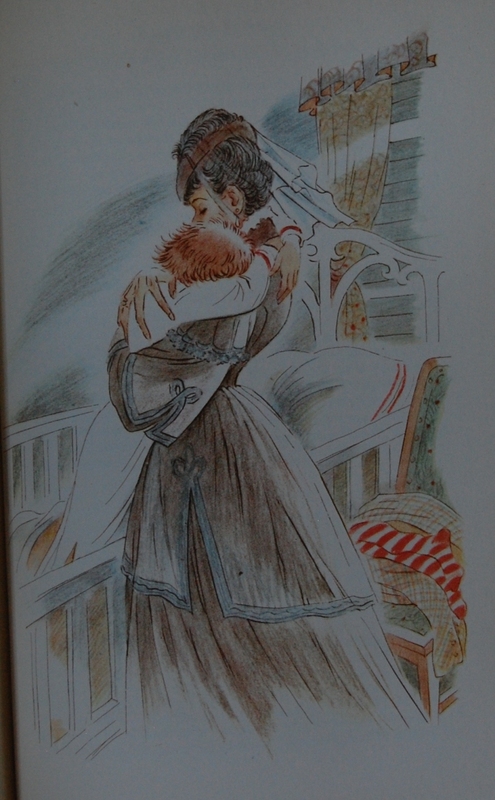 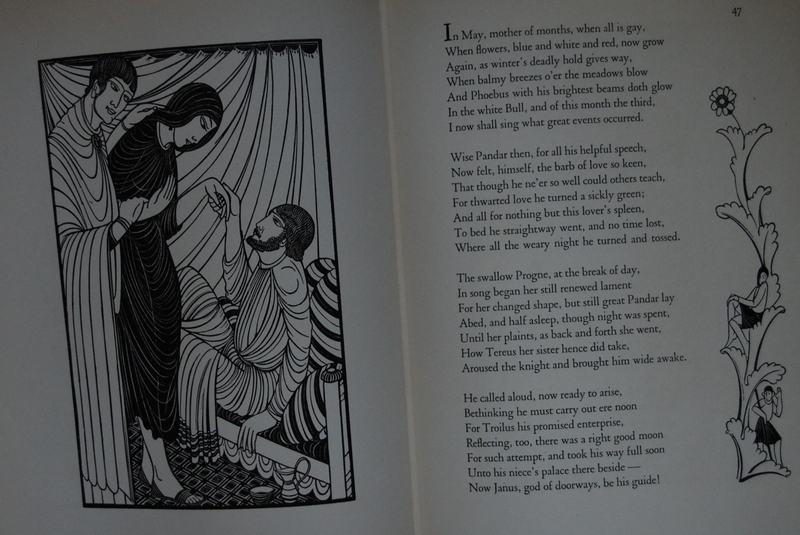 Reeve, Pushkin’s Eugene Onegin was done by Babette Deutsch, and the Russian Folk Tales featured Aleksandr Nikolaevich Afanasyev’s translations, which were modernized by Albert Lord. 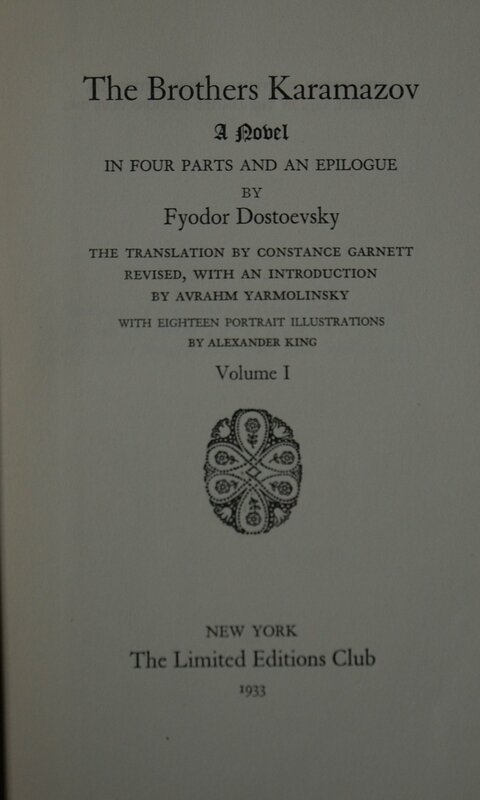 The foreword was written by Boris Shragin. 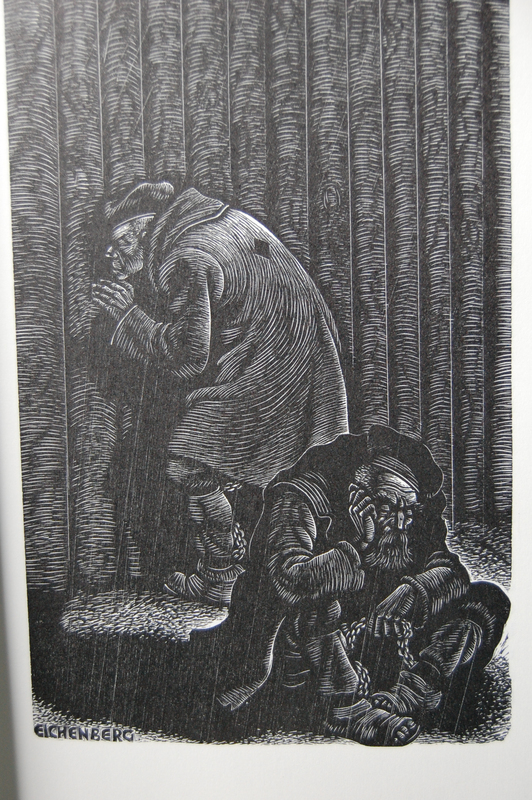 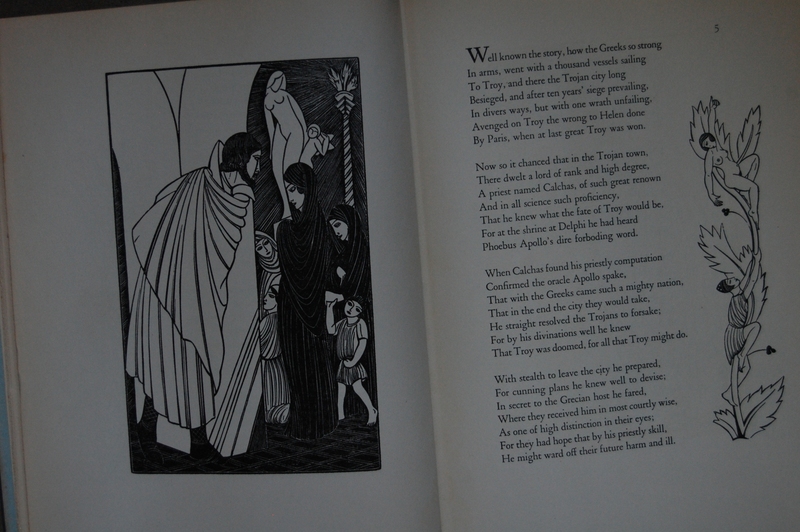 Fritz Eichenberg’s woodcut here sets the tone for the rest of the book quite well, if you ask me. 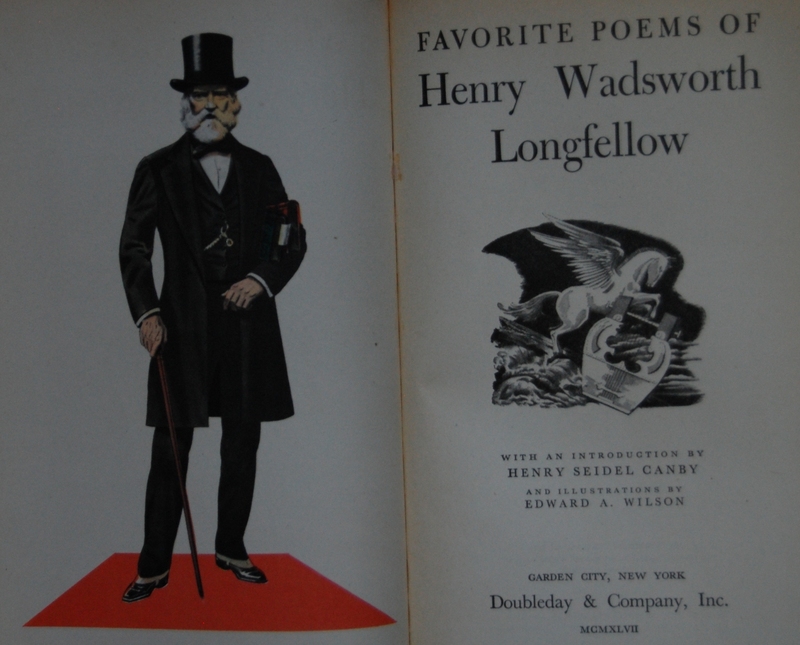 He’s one of my favorites. 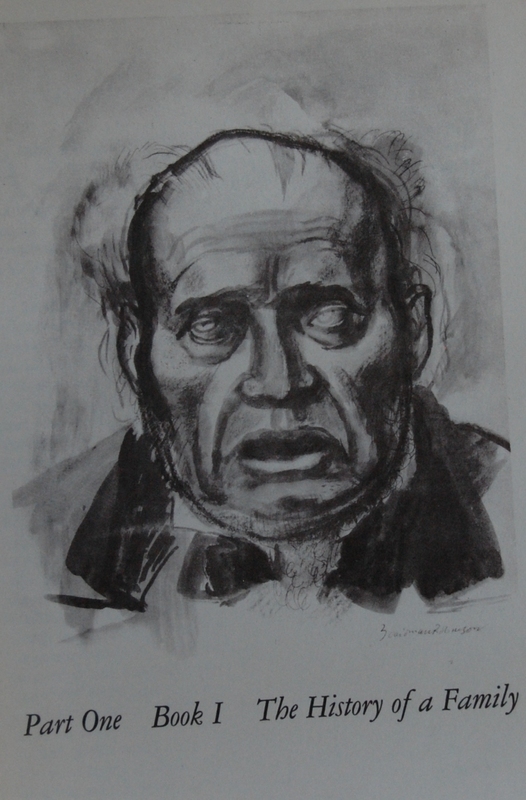 He almost became synonymous with George Macy’s Russian output, with most of his work dealing with such classics for the company. 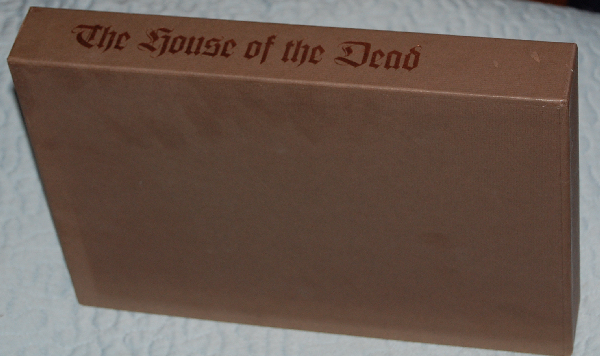 There are exceptions, of course, which I go into here. 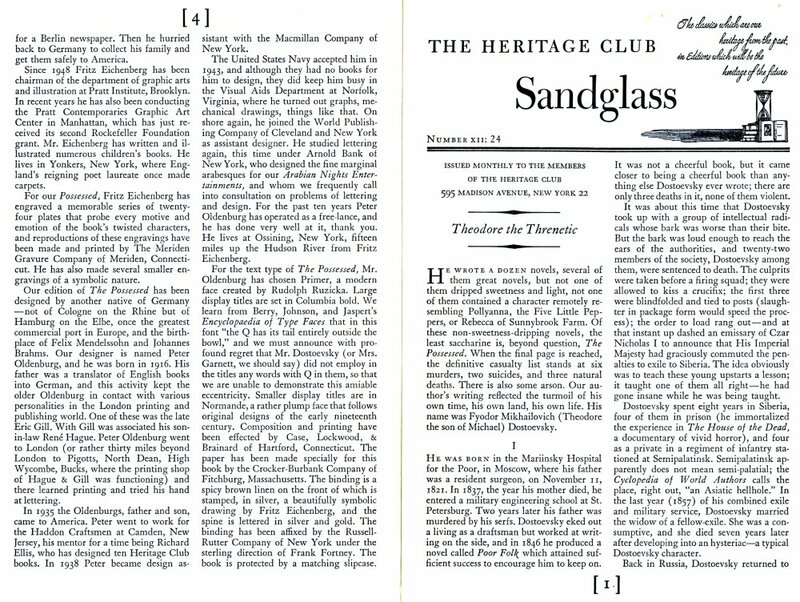 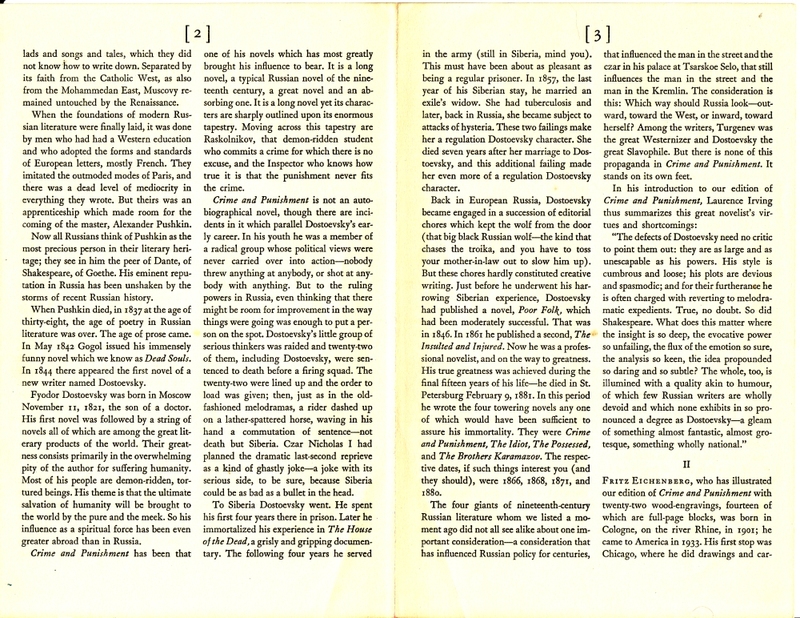 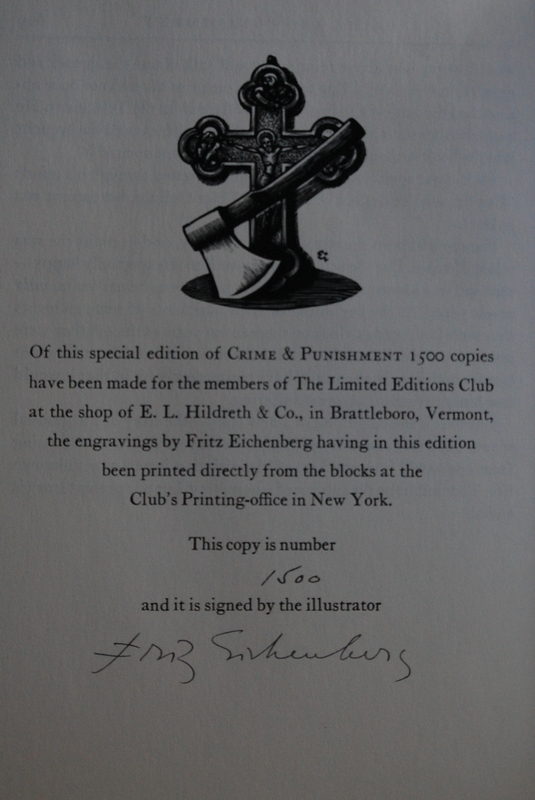 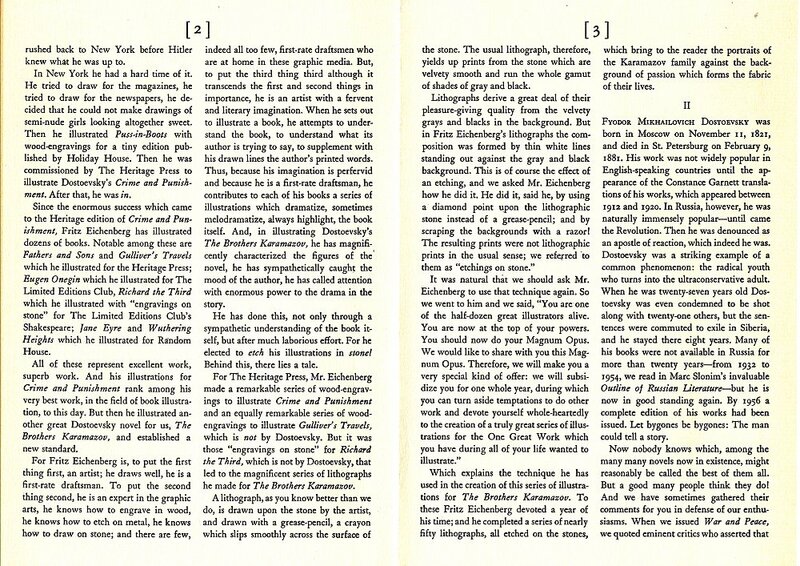 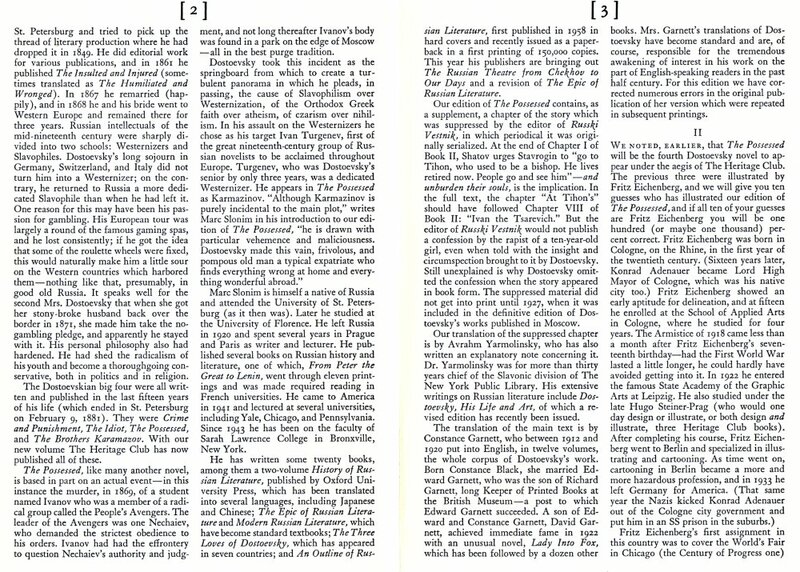 Colophon: My copy is #403 out of 2000, and was signed by Eichenberg and one of the typesetters, Michael Bixler. 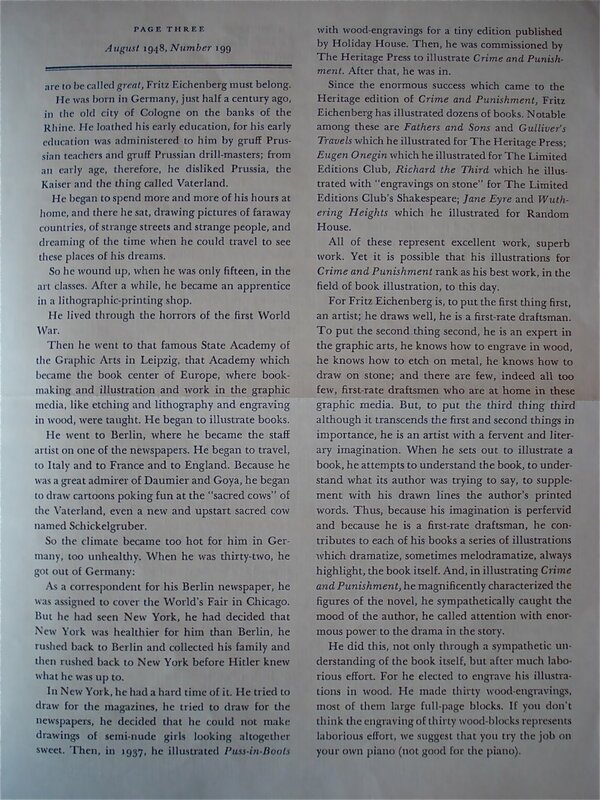 Bill Majure does not mention Bixler on his Collector’s Checklist, so I’m not sure if I have a special copy or not (Django6924 says his copy is also signed by Bixler, so I have a feeling it was merely an omission of Majure’s part). 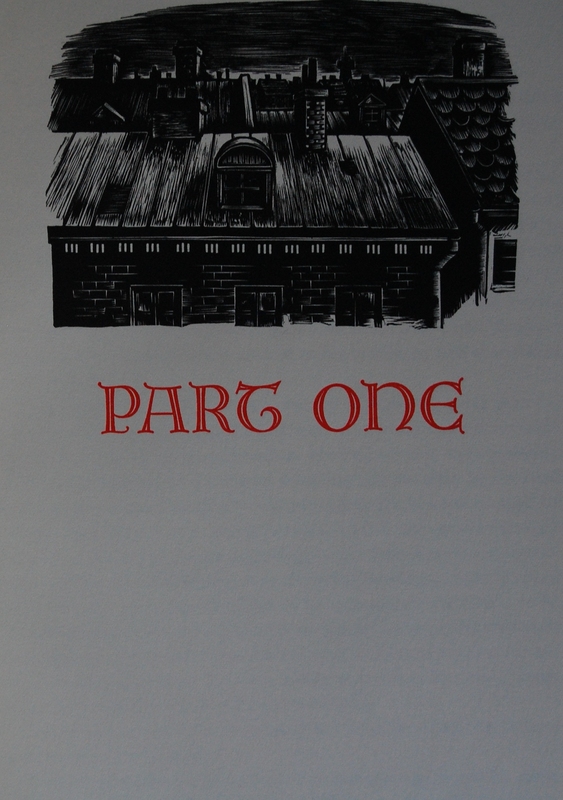 Page 11 – The art has a very dark, grim tone to it, which is quite apropos. 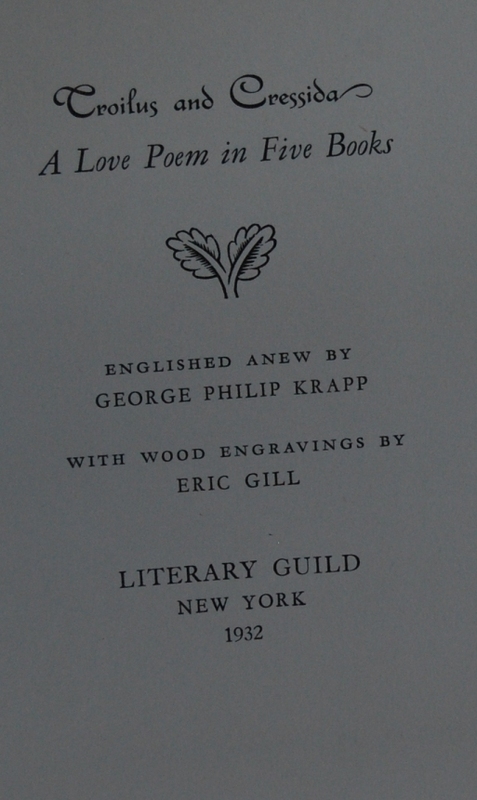 Personal Notes: This was my second LEC, purchased at a great used shop in Monterey, CA, Bookhaven. 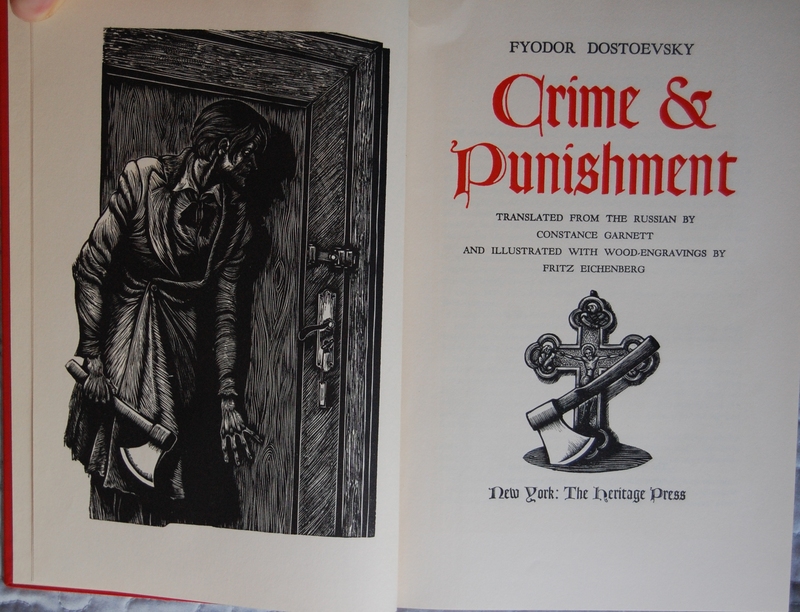 Prior to this I had been stunned with Eichenberg’s work in the Heritage Crime and Punishment, and this book cemented him as one of my favorite artists. 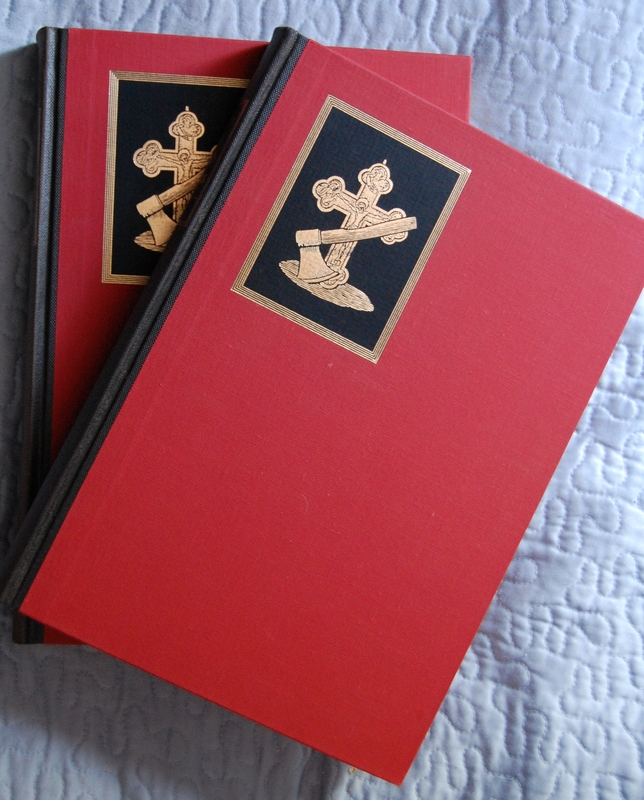 Getting a signed copy of one of his books was a great joy (and now I have C&P as a LEC, so that’s two!). 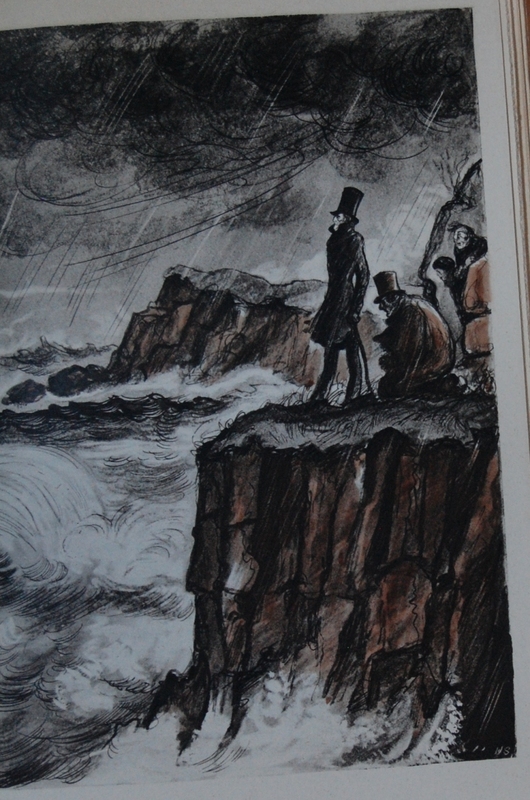 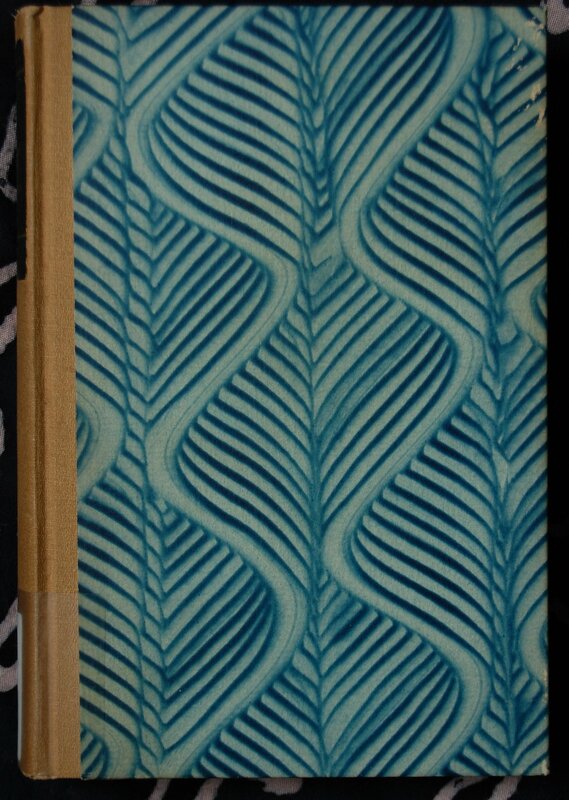 I’ve gotten some books outside of the Macy publishers that he had illustrated, including a Wuthering Heights/Jane Eyre set and a collection of Poe’s tales. 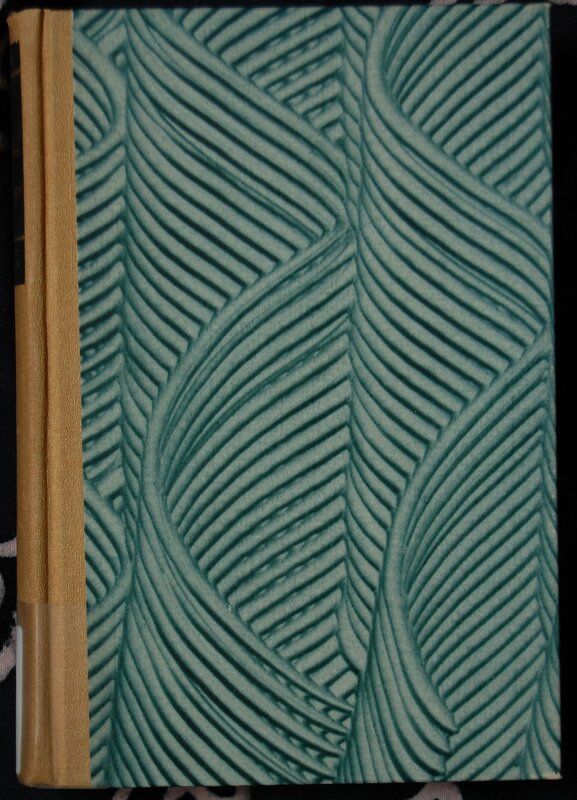 Lovely books as well. 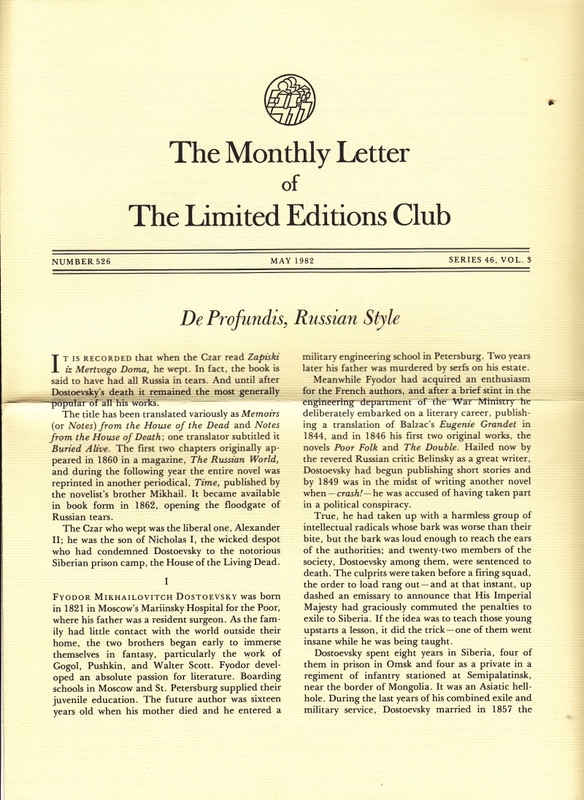 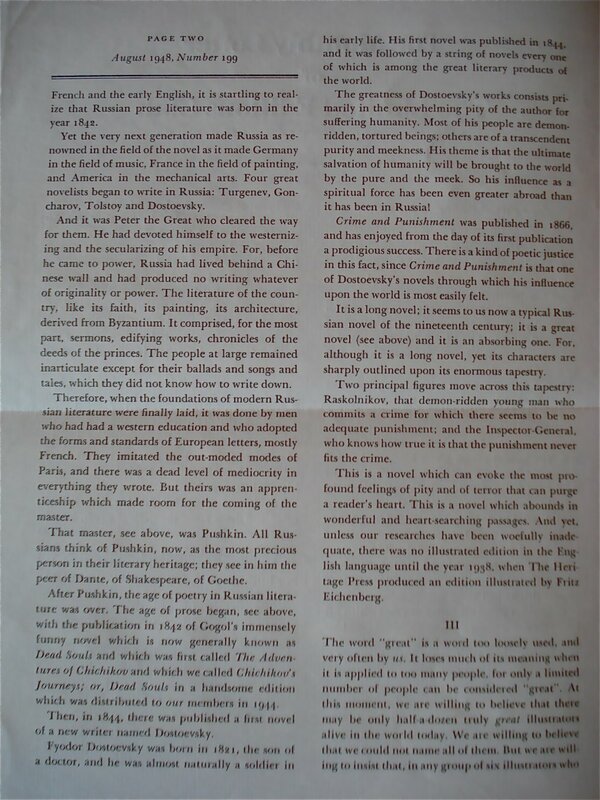 It’s also the first LEC I had bought that had a Newsletter with it. 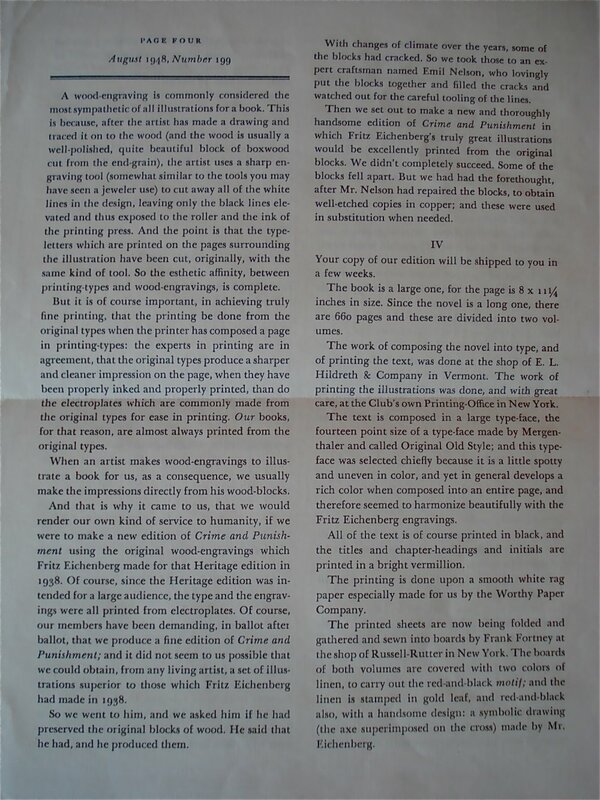 I’ve checked every LEC in the shop following this, and only a couple of the books printed in the ’80’s include them. 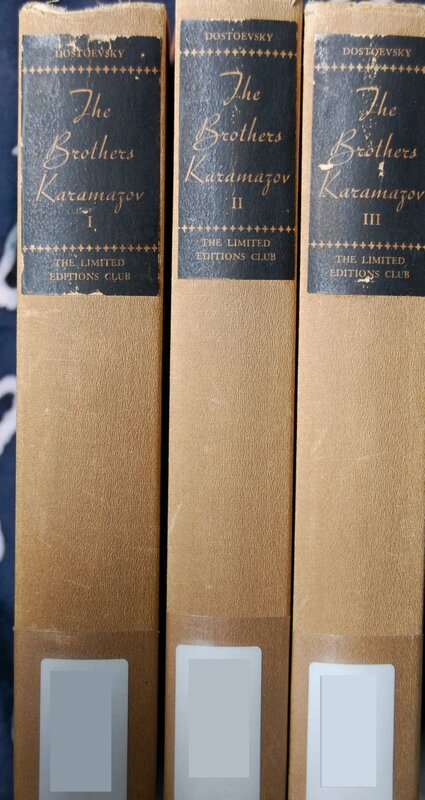 It seems that this particular collector did not keep them with his books until that point. 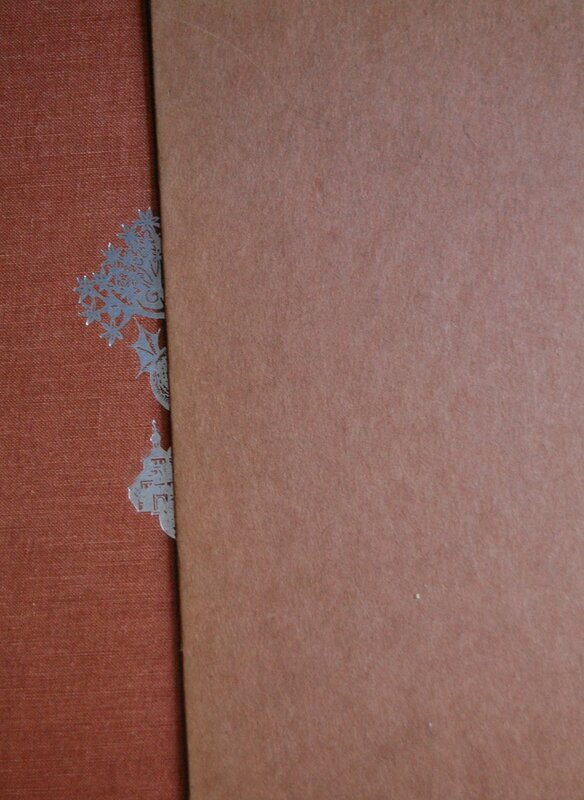 Luckily, I’ve gotten some in other stores that do have them! 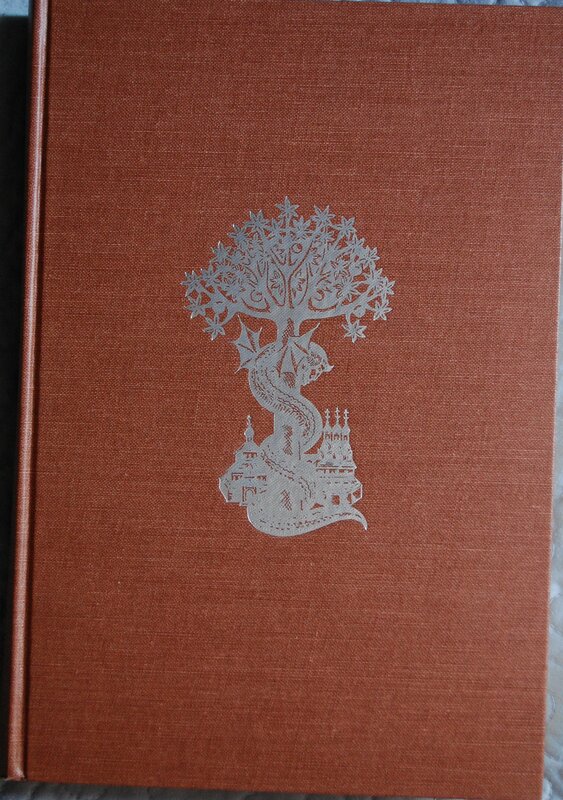 I paid $40 for this beauty, and I don’t regret it at all. 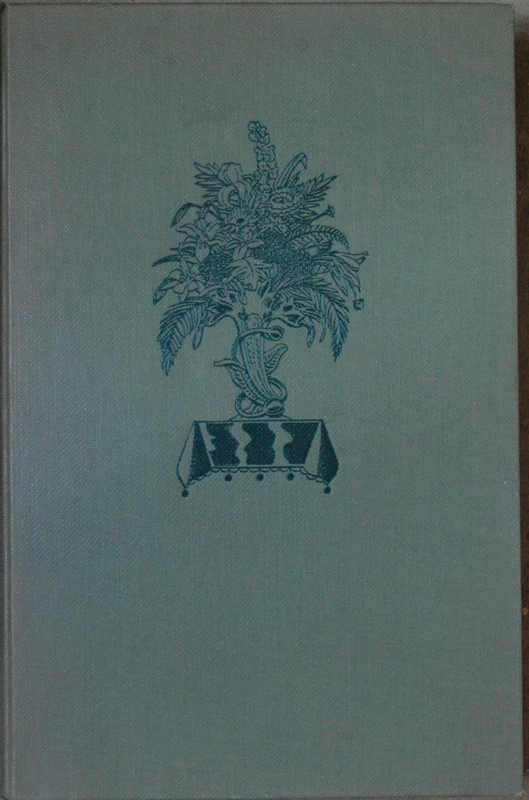 One of my gems of my collection. 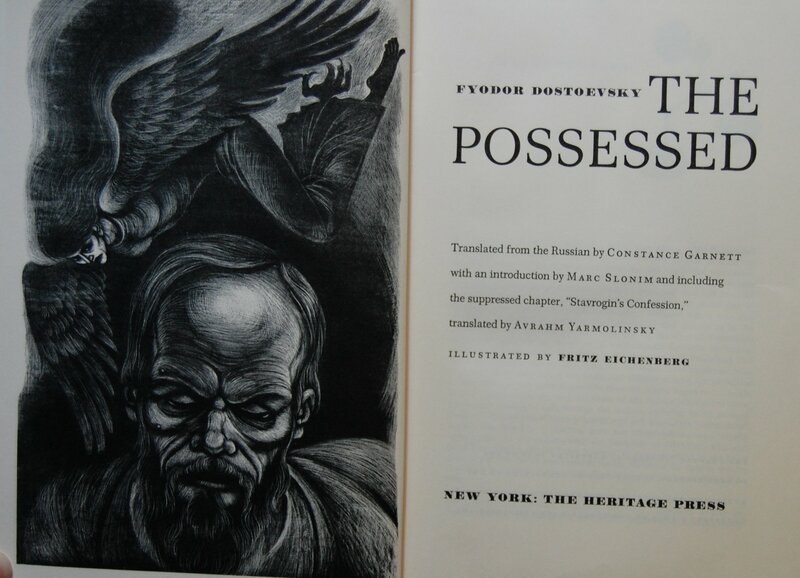 You are currently browsing entries tagged with Fyodor Dostoevsky at The George Macy Imagery.